Ringmeisters Prime. What`s all that about then ? 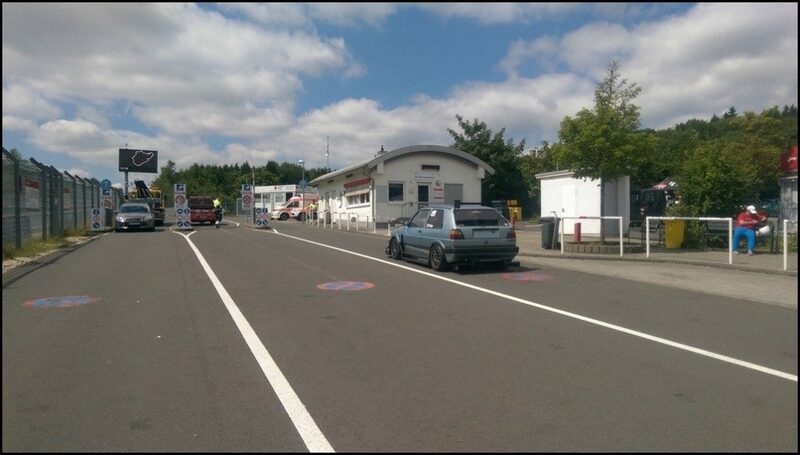 I`ve done quite a few Destination Nurburgring events over the last several years and I`ve always found them pretty quiet with as much free lapping as I ever wanted. After a stoppage you may get a bit of a rush from a lot of drivers to get back on track but otherwise you can drive straight out of the carpark and onto the circuit without ever having to queue. 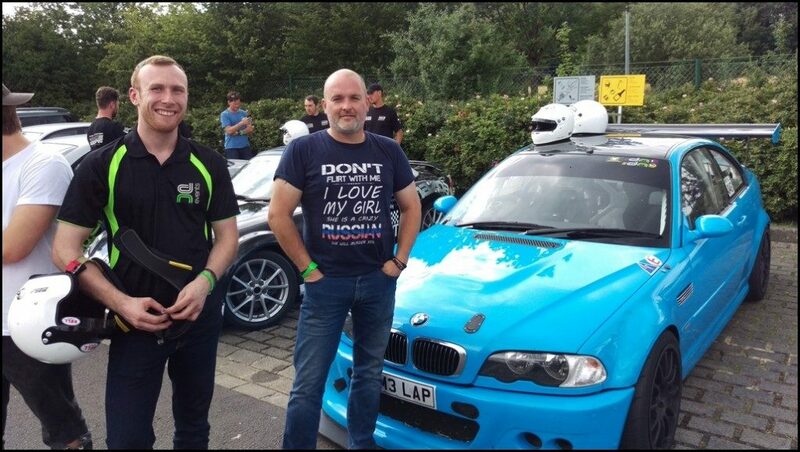 Darren has still had a lot of requests for even quieter days from many drivers so he thought he would put on a day with significantly reduced cars allowed on the event. This did mean the price had to increase to cover the circuit rental and whilst it was a fair bit more than a standard DN Event, it was still cheaper than the Grand Tourismo event a few weeks earlier and that had another 20 cars booked on. Dropped our bags off in the cabin, booked a table in the Brasserie and went to the lounge for a Beer. Darren was on the same crossing so when he arrived we popped along for the evening meal where we were joined by Paul. 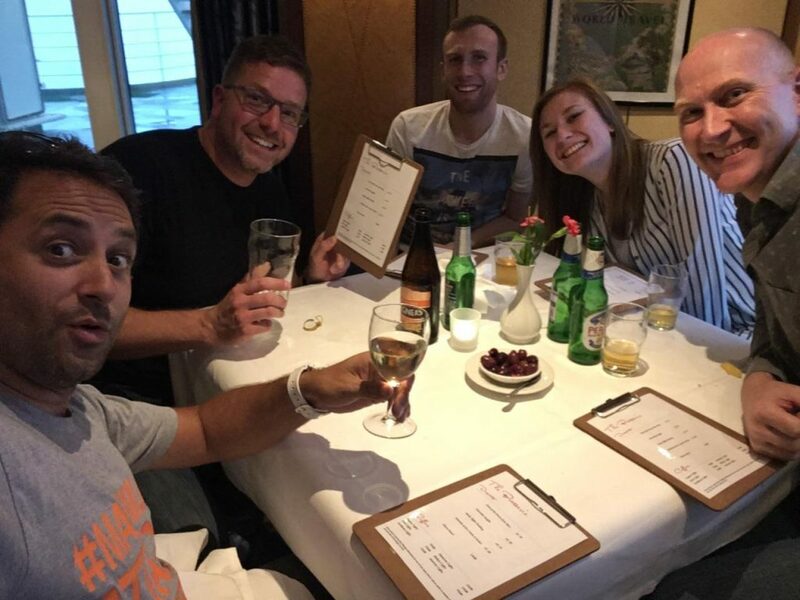 If I`m honest, the quality of the food was disappointing, they`ve changed the menu from the last trip in May and all the things we would have chosen have now gone. It was still alright but certainly not as good as before. Called it a night at 22:30 and slept pretty well. Breakfast in the room and then down to the car and as soon as we left the ship the heavens opened. Queuing for passport control and it looked pretty grim. 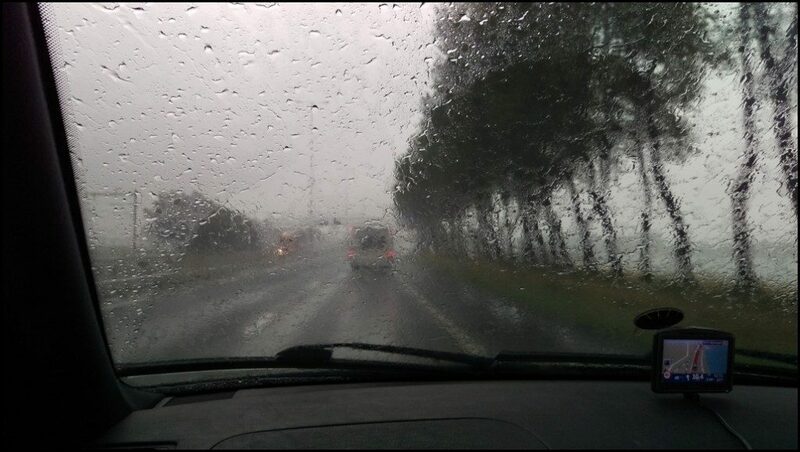 Had a good drive across Holland although the wipers were on full speed the entire time. Stopped for a break as usual after a couple of hours, I prefer to have a break when over half the journey has gone, it`s a small thing but it makes me feel better knowing I don`t have as far left to go once we have set off again. After dropping off the trailer at the Guesthouse we walked up to the Lindenhof to setup for the signing on. As the numbers were less than usual Darren reckoned we could fit everyone in there instead and we could catch those who didn`t attend tomorrow at the circuit. Do you know what? It worked a treat ! 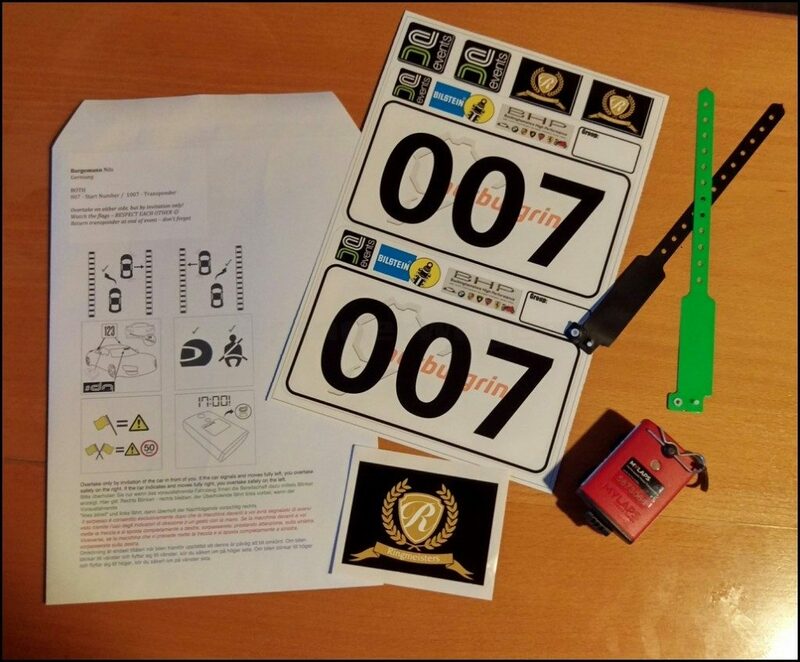 Once we had setup the tables we prepared the envelope for each participant, they consist of the car number, transponder, driver band and Ringmeister Sticker. 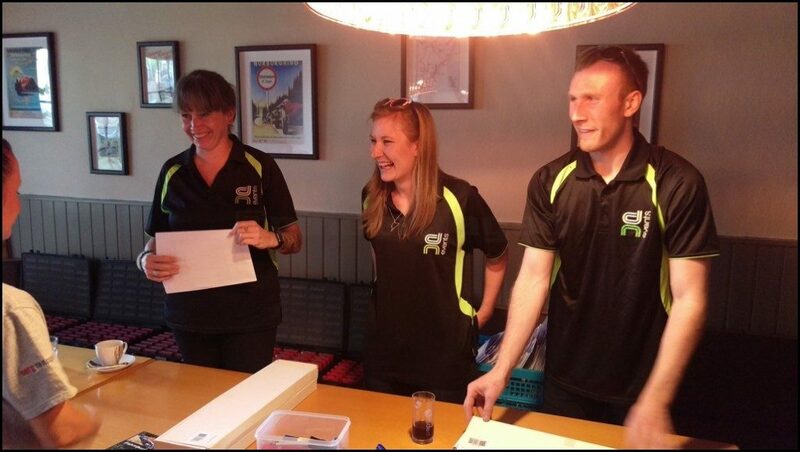 The signing on was done by Claire, Helen, Cat and Matt whilst Darren and I handled the briefings. 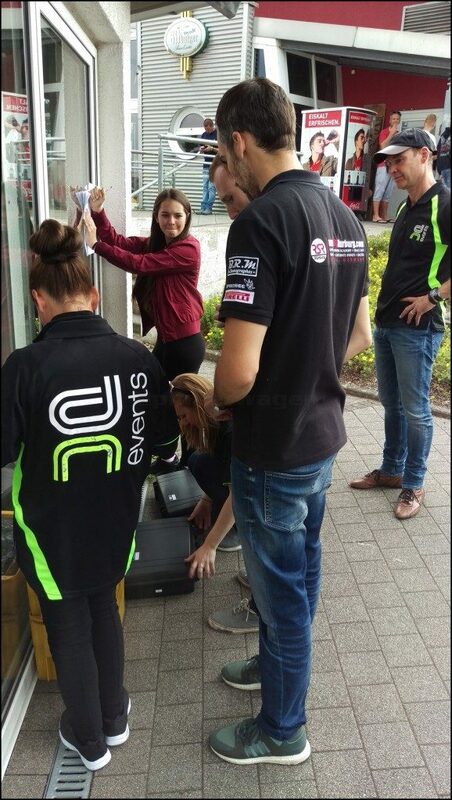 Rather than have the usual mass briefing we gave individual briefings to drivers after they signed on. 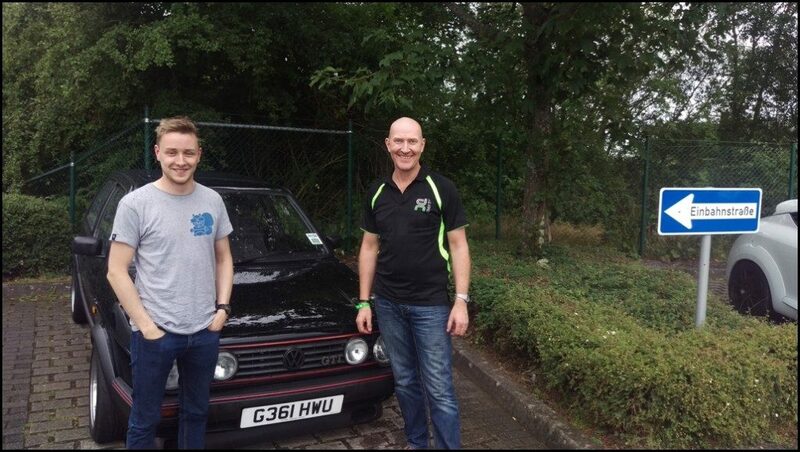 Blair and Mike were over from Canada , they had done a day at Spa yesterday and were booked on for both days at the Ring. 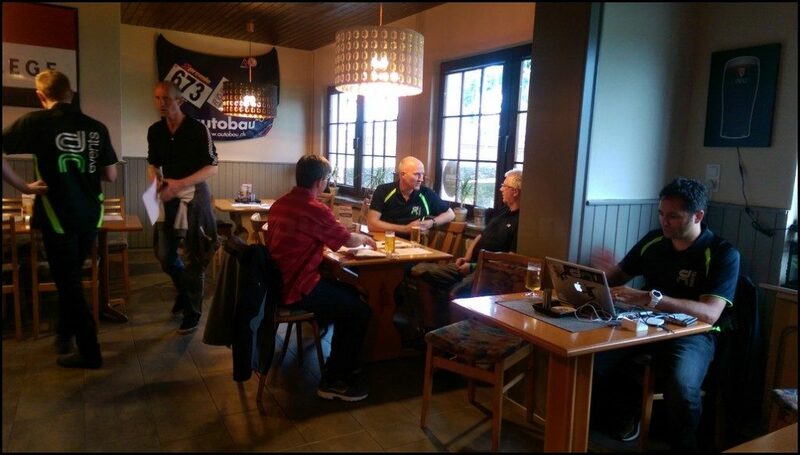 Running through the format of the event, explaining flags and driving etiquette whilst the drivers are sipping a beer is a pretty relaxed way of doing it and was incredibly well received by the drivers. Nick had also done the Spa day and had turned up in the hope there was availability for the Thursday, whilst he sorted that out with Darren I gave Adam a short briefing whilst discussing how many years it was since we last saw each other. 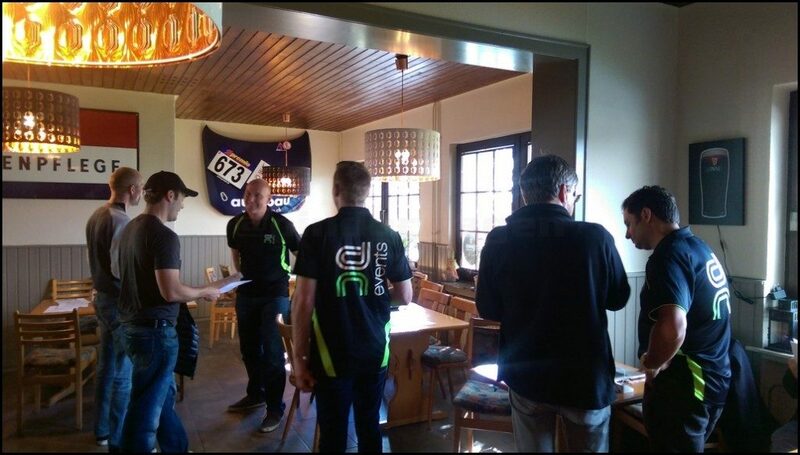 As someone who has attended 100`s of trackdays over the years I`ve sat through the whole range of driver briefings from one extreme where a guy fell asleep after 45 minutes of being bored to tears to another where the TDO giving the briefing was swearing at the drivers. I can happily say this was the most relaxed one I have ever been to and the venue was perfect for it. People were having a drink or something to eat whilst chatting to each other and the whole vibe was completely different to anything I have experienced at the signing on before. Once we had packed up we grabbed a bite to eat and spent the rest of the evening talking about how much we were all looking forward to tomorrow. Back to the guesthouse and I went to bed hoping to be woken by the alarm. Obviously that didn`t happen and I woke at 05:00 and couldn`t get back to sleep as I was too excited. I am 48 years old and still wake up hours before the alarm because I am giddy about the thought of the upcoming trackday . I unloaded and parked up the Golf then dropped off the trailer. 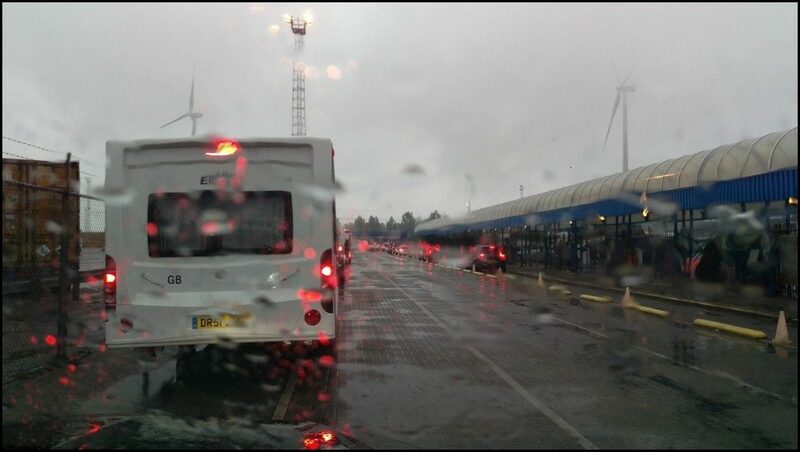 The carpark wasn`t exactly full. At 08:00 the track opened for the usual sighting laps. As we always do, every car was stopped and the drivers given a quick reminder it was the sighting session with no overtaking. Usually there is Matt, Roy and I and we speak to 3 cars at a time. This morning we were stood around waiting as there were so few people there and nobody seemed bothered about actually going out for the first 15 minutes. At around half 8 I decided to do a lap myself just to see what the track conditions were like and check the car was OK. The lap itself was uneventful but I had fitted some new RS29 pads last week so used the opportunity to bed them in on the sighting lap when there was nobody around. Coming back into the carpark I could smell smoke but it seemed pretty acrid and not the usual brake pad smell. 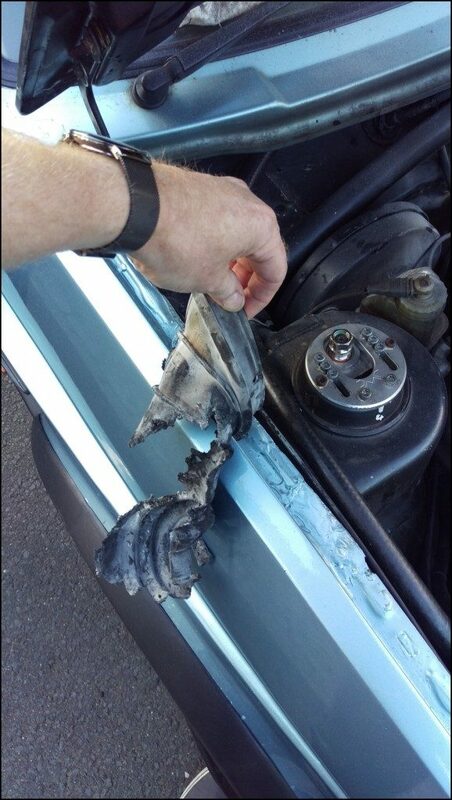 I ran to the back of the car, opened the boot and grabbed the extinguisher, quickly put the fire out and wondered what the hell had just happened. Was my day over before it had even begun ? I couldn`t understand what had happened and then looking closer and seeing some burning embers it was immediately obvious. The steering column passes thorough the bulkhead and is connected to the steering column via the Universal Joint. To isolate the cabin there is a rubber boot fitted over the column and U/J. This has been on the car for the last 12 years without any issue whatsoever. Today it decided to catch fire. 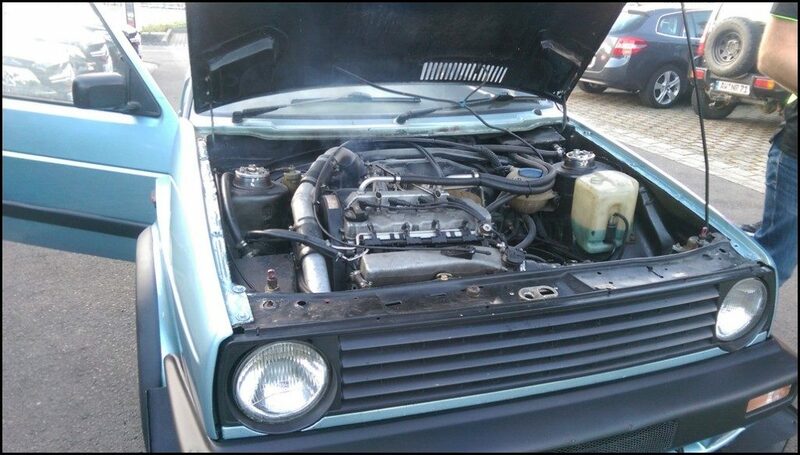 When I carried out the Turbo conversion I actually made an aluminium heatshield to protect the gaiter but for some reason I removed it over the winter and never refitted it. It was absolutely fine at Rockingham, 2 previous Ring trackdays and Cadwell a couple of weeks ago but chose this morning to burst into flames. Once I`d washed away all the dry powder residue, checked nothing had been damaged and explained what had happened to Darren and the Ring instructors I went out for another lap. To say I was nervous as I left the carpark would be an understatement. I had arrived here without any worries about the car at all. I had a very successful Cadwell Park and hadn`t needed to do much at in in preparation for this event. Now I was as nervous as I had ever been and I didn`t like that at all. 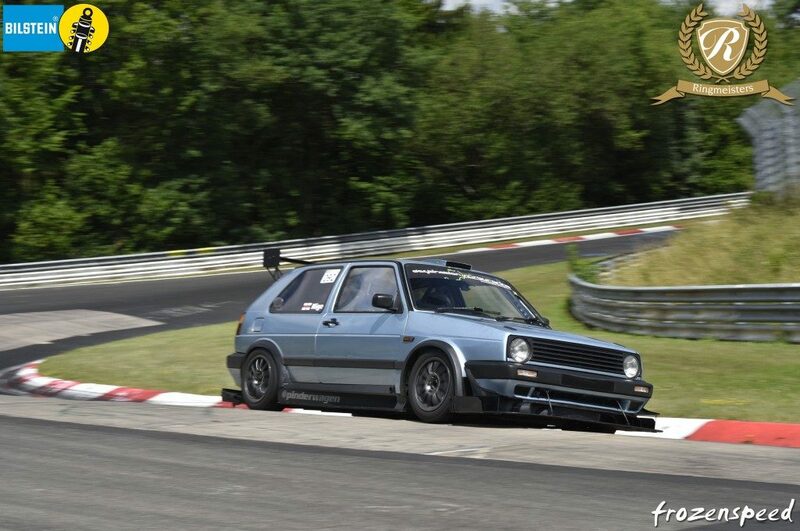 Darren had driven the Golf at Cadwell Park and said he felt the steering was too heavy. Matt had previously reported the same so I thought I`d increase the assistance and see how it felt. 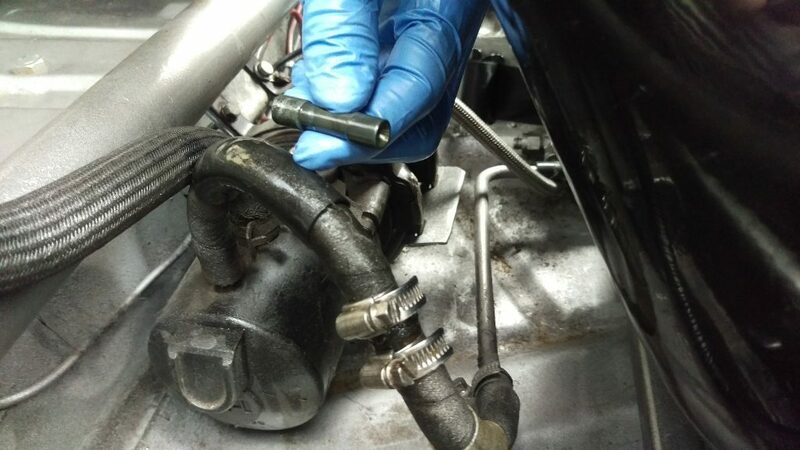 To increase the assistance you simply remove the restrictor fitted in the return line from the steering rack to the reservoir. This was fitted into the hose on mine and I simply cut the hose, removed the restrictor and replaced it with a straight through connector. The steering was noticeably lighter and required less effort but still gave as much feel as before. If anything it gave me more feel as I didn`t need to use as much force as before on the heavily loaded corners. Something I should have done years ago but didn`t realise how much better it would be. It just shows have having someone else drive can be beneficial, you often get used to certain traits in the car and don`t always realise they could be improved. I did a lap and came back into the pits to check everything over. No issues at all so I went out with Cat for a lap. Everything went well but I only did one lap, came back into the carpark to check everything then went out again. By now the sun was shining as I was starting to relax as I did several more laps with no issues at all. It was going well, I should have known it wouldn`t last. Noticed smoke in the rear mirror on full throttle so pulled off the track but it had stopped as soon as I lifted anyway. I was recovered back to the pits as I didn`t want to risk dropping any fluid on the track and the investigation began. 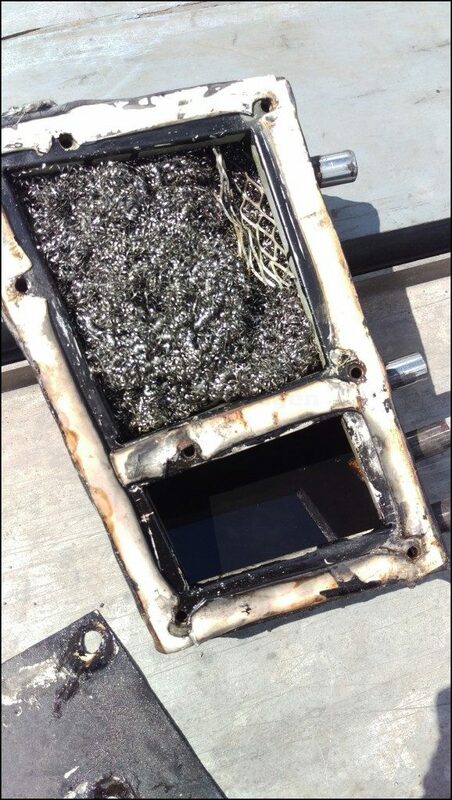 Took a while as nothing appeared to be wrong but I eventually found the oil catch tank was full and on right handers was allowing some oil to overflow back into the vent that feeds into the intake ! Emptied the catch tank, checked it over and revved it whilst on axle stands and there was no smoke at all. What a relief that was . I hadn`t checked the catch tank for months so I was unsure if this had happened just on the day or had been slowly filling since last year. After emptying it and checking there were no issues in the overflow carpark we were soon back out lapping again without any issues. Then I spotted another slight misting of smoke in the rear view mirror after the Gantry at the end of the lap, lifted off and it stopped but obviously I instantly moved across to the right and came straight into the pits. 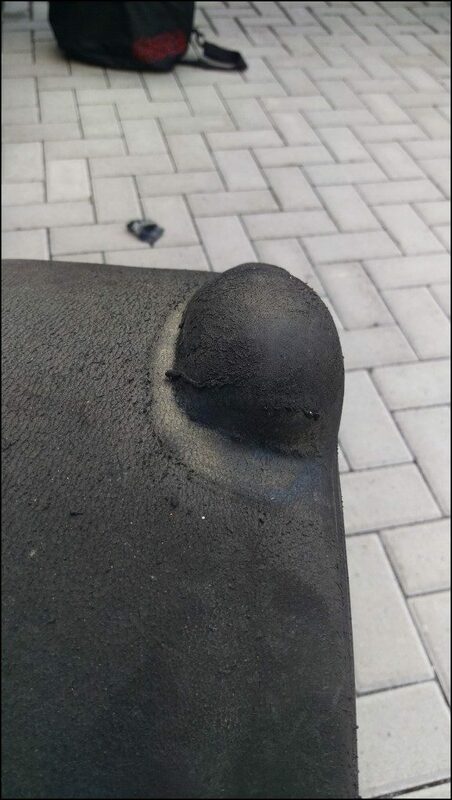 Popped the bonnet expecting to find the catch tank had filled again but I immediately spotted the issue. 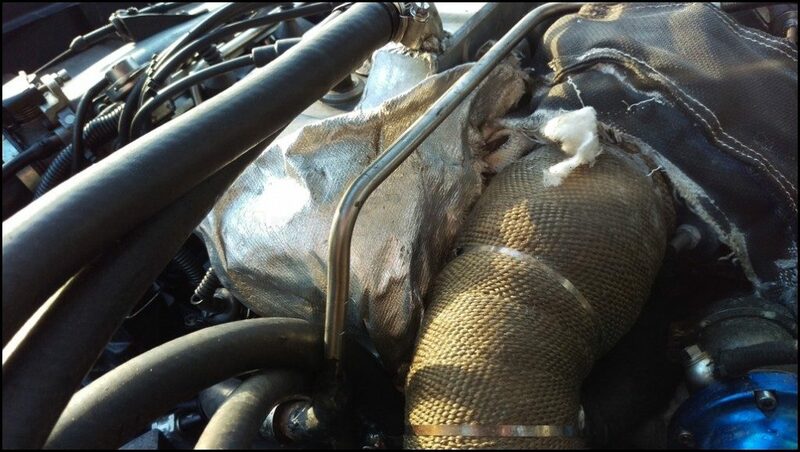 The new rocker cover gasket I fitted a month ago was leaking and allowing oil to drip onto the exhaust manifold and the soaking into the heat wrap. At high revs the manifold glows red hot and this heat was burning off the oil, hence the smoke in the rear mirror. Because I have the splitter and flat floor which seals the underside of the car, there was NO oil getting anywhere near to dripping onto the circuit. If there had been I would not have done another lap until it was fixed. Nipped up the rocker bolts but they were already tight so I cleaned up the oil from the area and put some absorbent matting up against the rocker cover. This worked well and stopped any oil dripping onto the manifold for the rest of the day. It needed replacing after each lap otherwise it would become saturated and drip onto the exhaust again which just meant I had to do a lap then pit instead of doing flying laps. 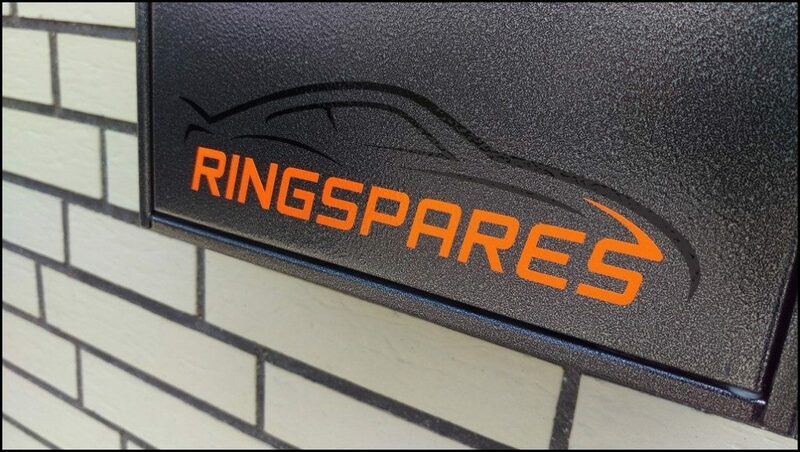 Faced with the choice of buying from the petrol station or elsewhere I gave Rich a call at Ringspares. He can be contacted on English 07458994464 or German 01603382063 and I would highly recommend him if you find yourself in the area and in need of assistance. 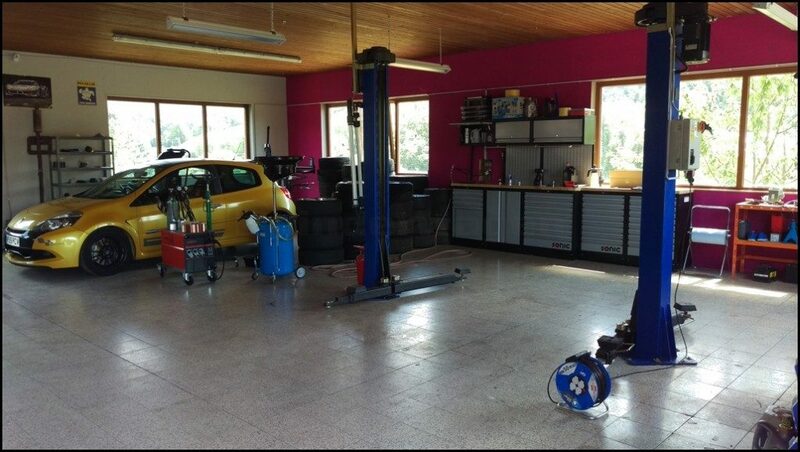 They are based in Herschbroich and have a fully equipped workshop with a large amount of spares, tyre machine, welder, 4 post ramp etc. He sorted me out with some 15W50 for a VERY reasonable price and I was soon back on track with the oil topped up. Everything was running smoothly so I asked Matt if he fancied a lap. Initially he was hesitant but after me explaining the steering was better than it has ever been he said he would have a drive. 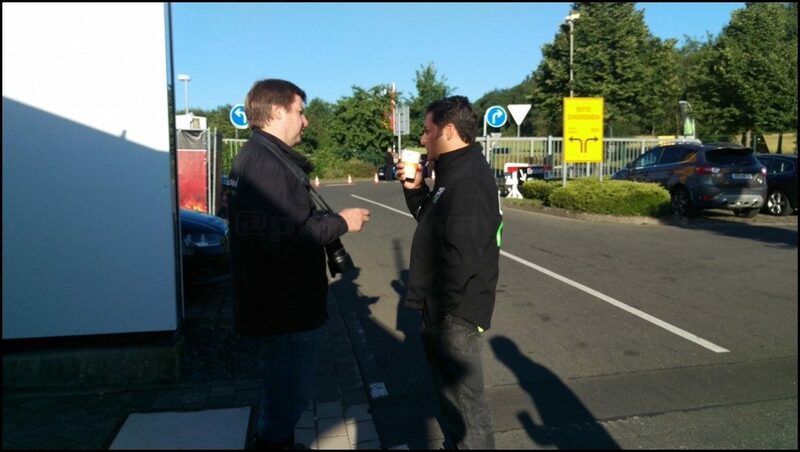 Darren and Jochen had been discussing where he would be taking photos throughout the day. Jochen told me he would be at Pflanzgarten at around 14:00. I told him if I saw him I wouldn`t lift before the jump so he could get an air shot and if possible I would do another lap and do it again. Cat was in with me and I saw him as I was approaching the jump. 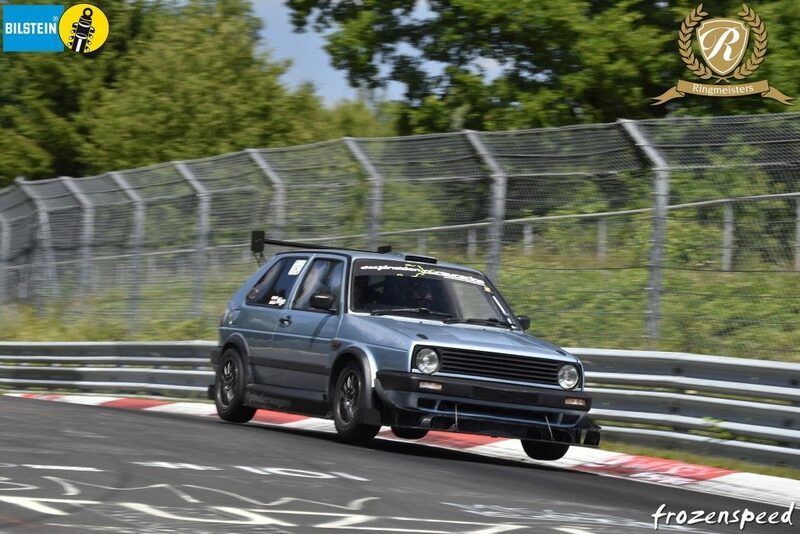 I used to get more `air` even though I was slower over the crest but I genuinely believe the Aero isn`t allowing the car to get as high anymore. 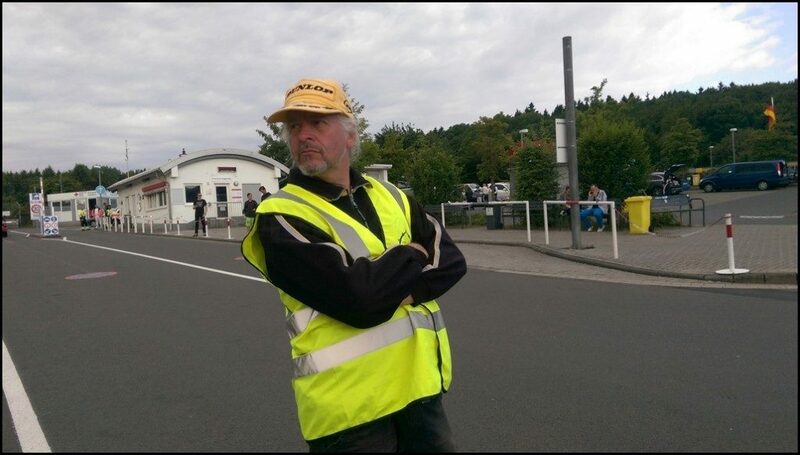 Roy was on duty checking cars heading onto the track but it wasn`t exactly the busiest job in the world. At 16:00 I had a chat with Sam and Russ and agreed to finally do a chase lap. We often forget to do them and I was keen to get it whilst the cars were all running well and the weather was good. Andy Carlile sat in with me, Paul in the Silver M3 joined us. I waited for Sam and Russ to pass as the rear memory card was full so rather than get in the middle of them I said I would follow at the rear and get footage of all 3 cars. Misha was in the Blue car with Russ and he posted a video of it. The middle of my front bumper has started sagging a bit, I have no idea why that`s the case, the steel reinforcement bar is still underneath it. Into the carpark and loaded up on the trailer and then drove to the guesthouse where we took it back off the trailer for a check over. The front pads were wearing very evenly and whilst they aren`t as good as the Performance Friction or Project Mu, they do give a slightly softer pedal and with the increased servo assistance I now run it is not actually a bad thing.. On Slicks I prefer the more agressive pads but running these with the Direzzas it worked well.. I didn`t bother swapping the pads side to side but I will do after tomorrow. Doing so evens out the wear but means the first lap or 2 I have poor pedal feel as the taper is worn away. We also used the opportunity to fit the Slicks ready for tomorrow. 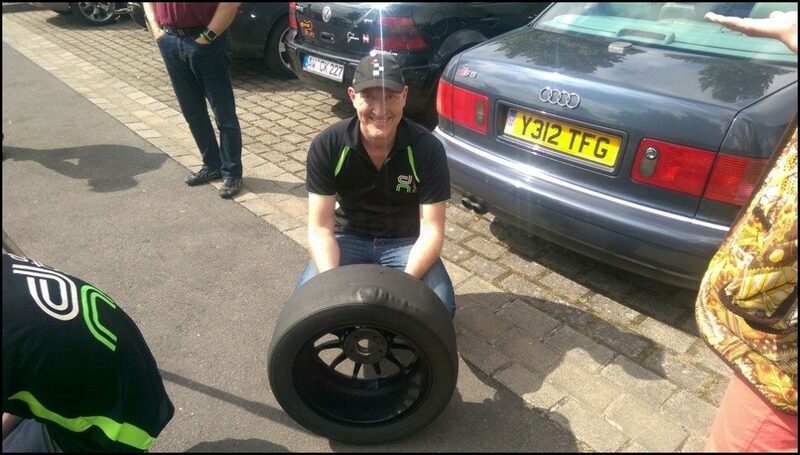 I keep saying it but outright grip isn`t that much better than good R tyres. Where they are an improvement is the lack of tread means they don`t overheat anywhere near as quickly as the grooved tyres which means I can do several laps in succession without waiting for them to cool. Perhaps one day in the future I will seriously look into some 17`s and increase the width to 215 or 225. That will hopefully reduce the overheating even more. Removed the rocker cover, cleaned up the gasket sealing face and applied some silicone to seal it. I shouldn`t need it on a brand new gasket but the heat from the downpipe had made it start to go brittle. I had some foil backed fibreglass matting with me and I used that to make a temporary shield to keep the heat away from the gasket. This was a complete success and I had no oil issues the next day. I will fabricate a small aluminium shield before the next outing to sit between the downpipe and the rocker cover. Once that was done we had a quick shower and drove to Adenau for a meal at Piazza Aviano. 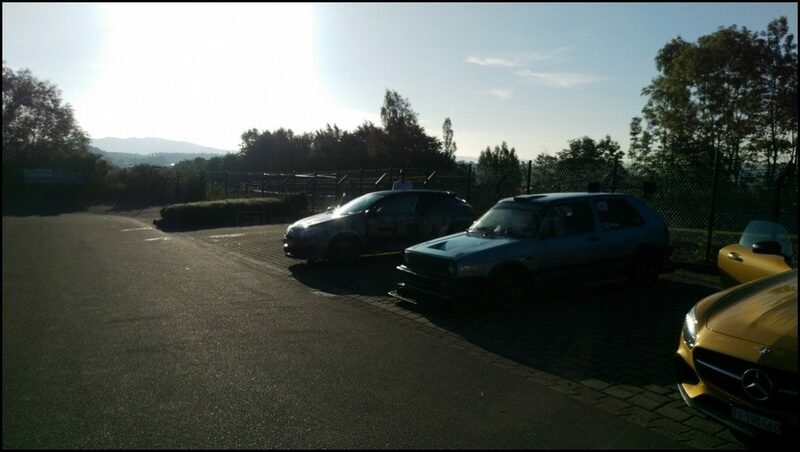 It was a lovely evening and we sat outside and were joined by a few guys from Mission Motorsport who were over to give some of the guys a Nurburgring experience. 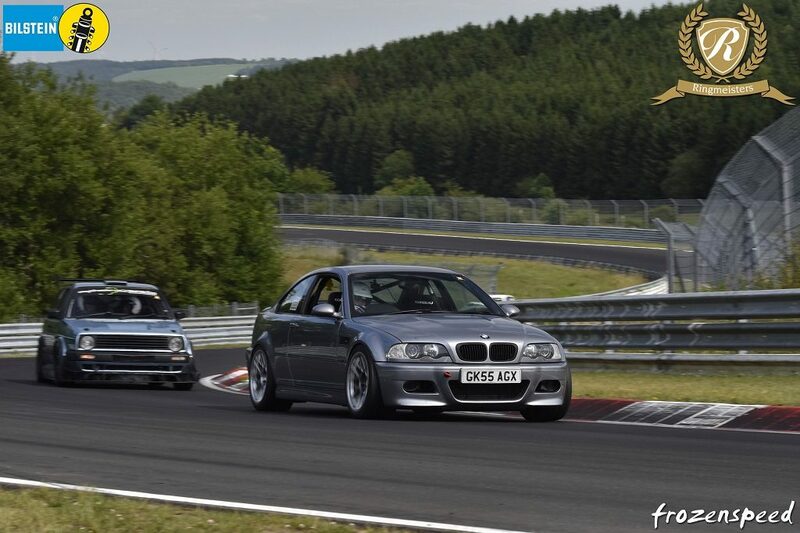 I was chatting to Jon-Allan who I`d taken out before and this time he`d brought his own E46 M3. He hadn`t driven many laps at all but asked if he could jump in with me for a lap the next morning and then if I could go out with him for a couple of laps to offer some advice afterwards. Called it a night before 11 and had a much better sleep which was not really surprising ! At last ! I was woken by the alarm for a change. Sounds alright until you realise it was set at 06:00 After breakfast I unloaded the car again and hoped for another successful day. 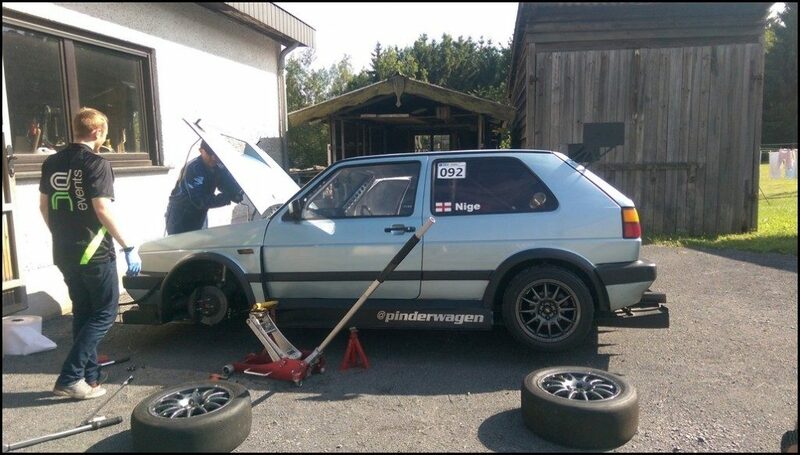 Yesterday had a few small issues with the leaking gasket and the fire, but apart from that I`d managed to get in a load of laps through the day as there had been no Red Flags. Even fewer cars had turned up for the sighting laps this morning and even as the track was about to go Live the carpark was still mostly deserted. I wasn`t about to waste some perfect track conditions so Matt and I went out to do a lap. 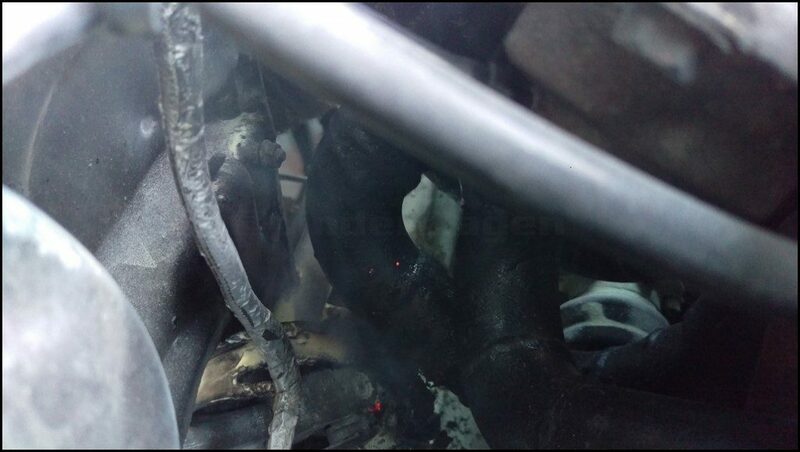 We wanted to get everything nice and warm and then come back in and check the rocker gasket wasn`t leaking. Even though we had warmed it up in the carpark, the temperatures are nothing like you can get on track and it is always a perfect opportunity to check out the track conditions. It was pretty slippery under the trees and a car had managed to spin on the exit of Bergwerk but otherwise it was a trouble free lap.. Checked the rocker cover and manifold and was happy to see no signs of oil whatsoever. 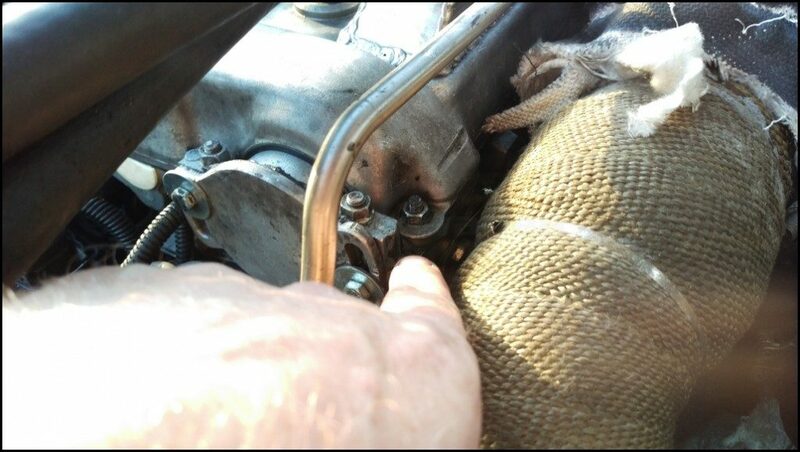 I know a lot of bikers who ride the Ring and the last thing I would ever do is take a car on track that was dropping oil so even though it wasn`t leaking I left some oil absorbent matting next tot he rocker cover, behind the fibreglass just in case. We checked it after every lap but it didn`t lose a drop all day. 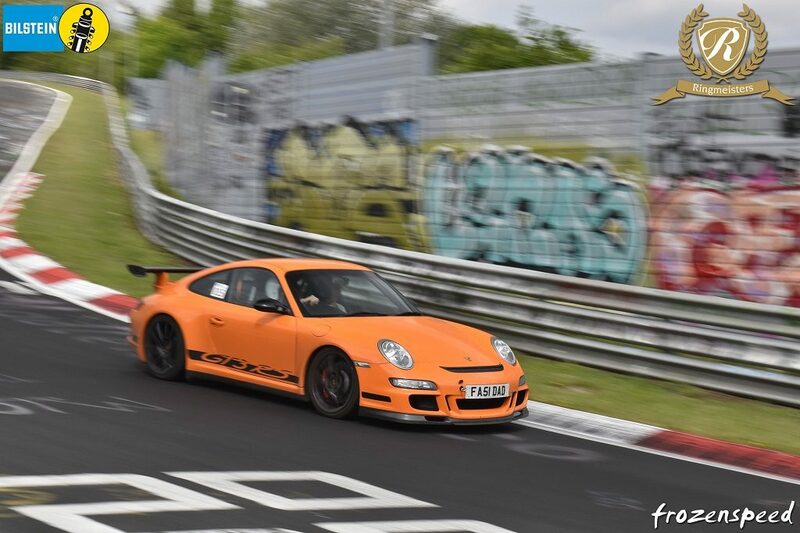 I`ve seen Steve at the Ring many times over the last 12 years and he was there in his GT3RS with Craig along for the trip. He asked if he could have a lap with me and then if I could jump in with him later to offer some pointers. I didn`t really think I could show him much but agreed we would swap laps with each other. Took him out for a lap in the Golf with me concentrating on being smooth and carrying speed. A long yellow flag section as they were recovering a broken car early in the lap and then we never saw another car for from Hatzenbach to the end. Once back in the carpark Steve was discussing the lap and asked how quick it was. I didn`t know as I never look during the day. He seemed very interested so I had a look at the data and explained it was only a 7:56, explaining that the yellows had knocked off between 10 and 15 seconds. "Nige, that`s the first time I`ve ever done a lap under 8 minutes !" I was gobsmacked. He is a really smooth driver and has good lines, I expected him to have passed that milestone many years ago. It wasn`t an issue and he was saying he`s old and wise enough to know that he will look at the data at the end of a day and see he has done a sub8 without chasing it. We reckon that it will be a couple of corners that once things are pointed out will result in a significant improvement for him. Jon-Allan had arrived so I took him out for the passenger lap I`d promised him the night before. He hasn`t done 20 laps yet and is obviously still learning the track but what I wanted to do was give him a nice quick lap with no drama. I couldn`t really talk to him as we were driving as he was wearing a full face helmet and the Golf is just too loud to hear each other unless you are both wearing open faced helmets. We had a really enjoyable first half of the lap where I was following the green C400R. 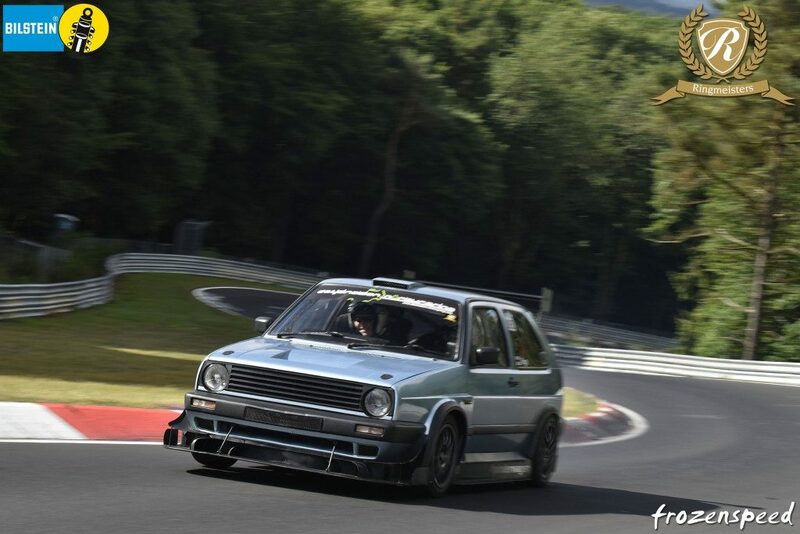 He was better out of the corners as you would expect and we were surprisingly close on acceleration but he was far better on the brakes which caught me out exiting Schwedencreuz and braking for Aremberg but then the Golf was quicker through the fast corners. I had a chat with the driver afterwards and we both agreed it was a thoroughly enjoyable lap that had 2 very different cars with different strengths and weaknesses but both lap at very similar pace. Then I had a tyre issue. It seems like no trip report would be complete without some tyre issue or other. There was no puncture this time, the new Toyo Slicks I bought brand new last year, which still had plenty of life in them decided to blister badly. As we exited Brunchen I felt a vibration and immediately assumed it was a puncture. By letting go of the steering wheel and touching it with fingertips, it is usually dead easy to tell as the car will pull to one side or the other, depending where the puncture is. I did that and it drove straight and true. 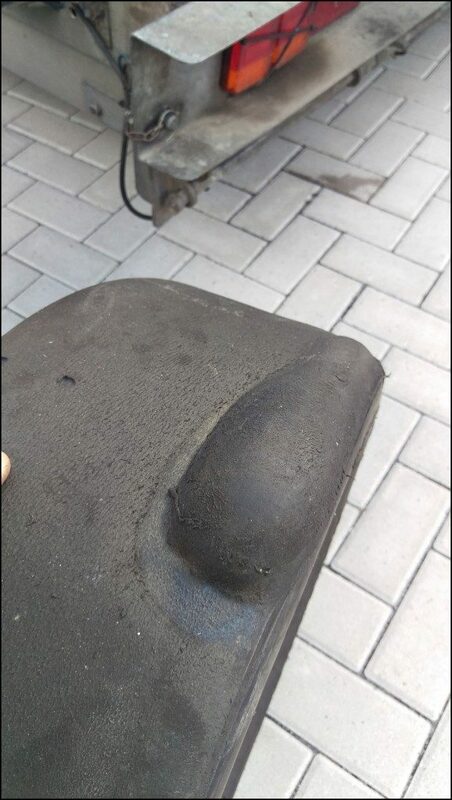 The vibration increased with speed and it certainly felt like a tyre problem so we drove slowly back to the pits and started removing the wheels. The blister was like a soft balloon and everyone who saw it couldn`t resist poking it and telling me they hadn`t seen a tyre do that before. I have spoken to Toyo and am going to be sending it back for them to inspect and hopefully shed some light on why it failed because right now I have no idea..
We fitted a pair of Direzzas on the rear and slicks on the front and I went out for a steady lap to see how it felt. By Hatzenbach I knew it wouldn`t be an issue. 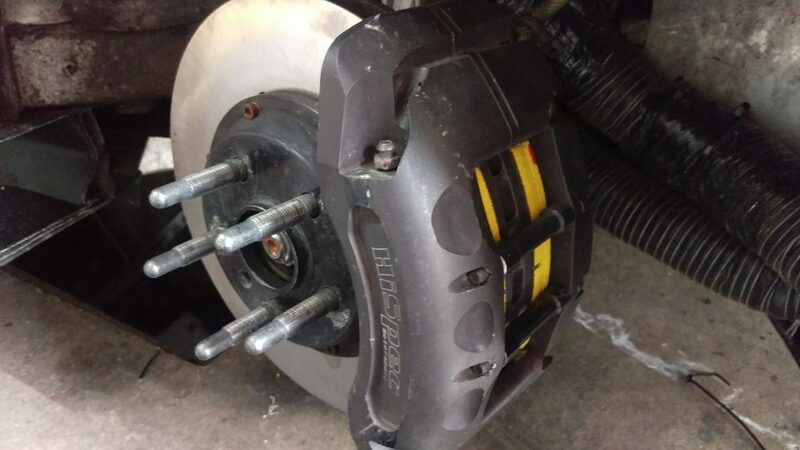 I don`t struggle for rear grip anyway and I have run different front and rear tyres before, usually in changeable conditions where I may run Direzzas on the front and R1R`s on the rear or some other similar combination. Because I am pretty much always front tyre limited the rears don`t get a lot of use and I rotate tyres after each event to even wear out anyway. I always take the first lap steady until I understand how much grip is available. 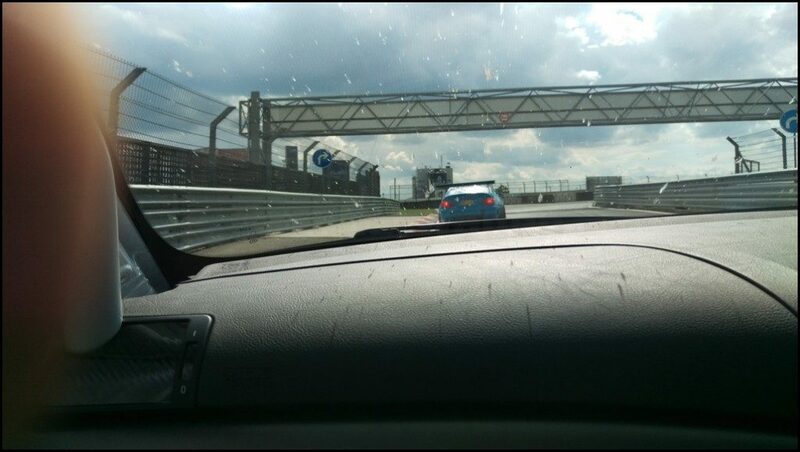 We had a clear lap after that and we first spotted an E90 M3 in the distance as we exited weirseifen. By the top of Kesselchen we had closed up a little and approaching Hohe Acht Erika started clapping her hands together and laughing. I asked if she was ok and she gave me an instant reply of "YEAH !" Hearing a "I really enjoyed that lap, thank you!" as we drove into the carpark and then seeing she couldn`t wipe the smile off he face as we climbed out of the car told me all I needed to know. I grabbed a drink and then Helen asked if she could have a lap. As I was strapping her in I asked if she needed a cushion ? The passenger seat is very low and not everyone can see over the dashboard. In a car where you are being thrown about quite a bit whilst strapped in and getting hot, not being able to see isn`t ideal. She assured me she could see enough so we went out and had a very clear lap. 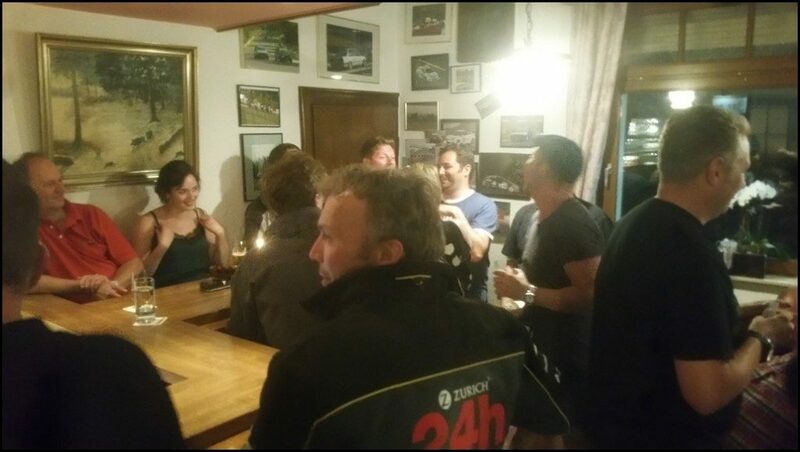 Apparently, it was the most fun she`s had in a car on the Nurburgring ! Straight back out with Matt and I was really getting into the groove as I concentrated on my lines and trail braking into a few more corners. 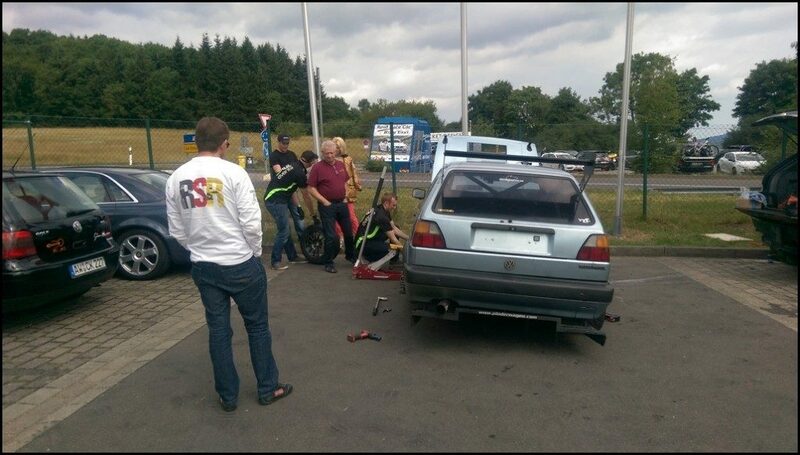 I`d been having issues at Metzgesfeld II and Kallenhard where I was going in a little too hot and missing the Apex. 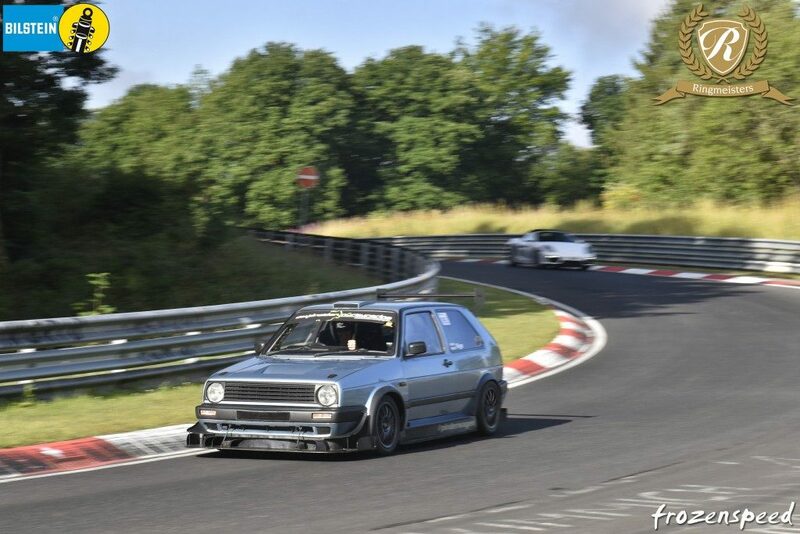 I was braking as late as usual but the RS29`s weren`t slowing me quite as much as usual with the normal pedal pressure and I was occasionally running slightly wide on entry and struggling to make the apex. 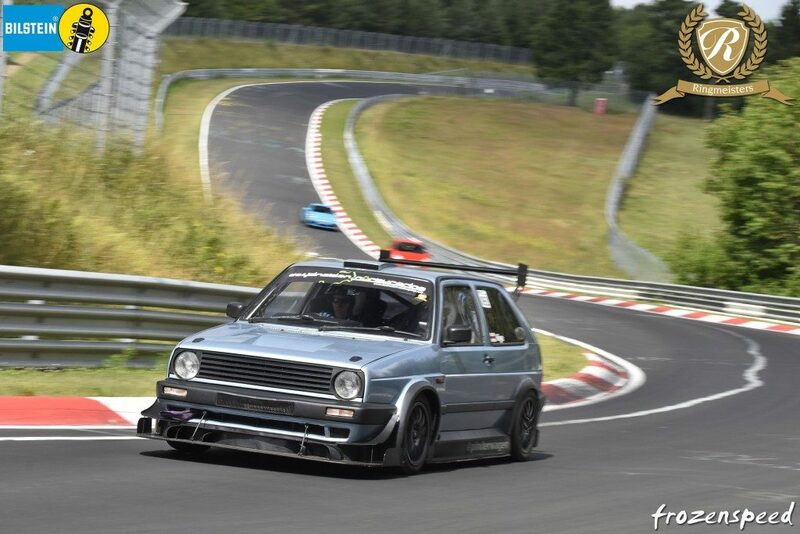 I`d done it yesterday on the lap following the M3`s at Bergwerk and was trying a few different ways to address it. The obvious one is to simply brake earlier but I was finding that braking as usual but keeping some braking applied really helped tuck the front in and slowed me enough that I could get to the Apex everytime and then transition onto the power nicely. The next step was doing it with my left foot into Kallenhard but as usual I overbraked and slowed far too much. I still need to work on that left foot feel. 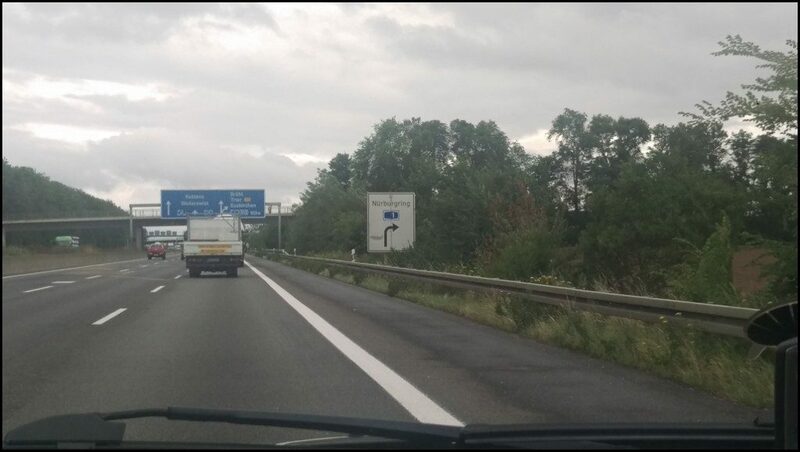 Saw this MX5 behind and slowed to let him past as I wasn`t on a quick one and wanted to try more left foot braking through Hohe Acht until Eiscurve. He was pedalling really quickly and both Matt and I commented how well it was going. After the lap the MX5 driver wandered over for a chat and to ask about the Golf, when I asked if his MX5 was a Turbo he just smiled and replied that it was a standard N/A engine. It was now approaching lunchtime and I`d already done loads of laps and was running low on fuel so popped down to the petrol station to fill the jerry cans. Usually I do it after the first day but by the time we`d fixed the leaking gasket I didn`t have time. 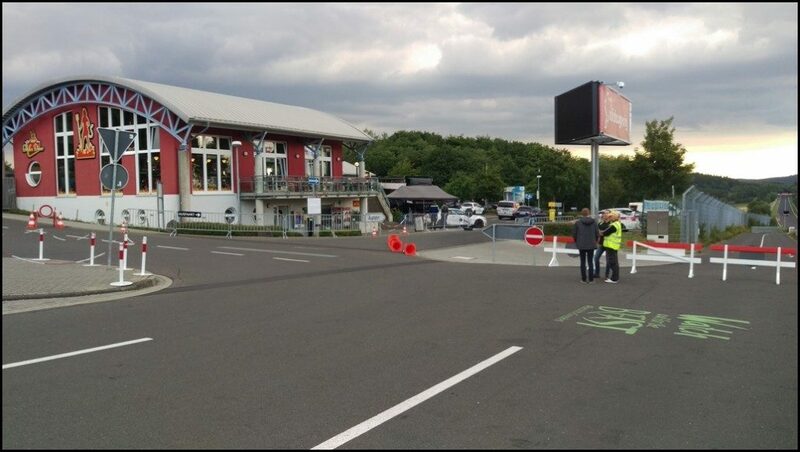 Just as I drove back into the carpark it closed for an accident at Flugplatz. A car had gone off and into the tyres. He was fine but it had pulled a lot of the tyres away from the armco and would take some time to repair. We decided now would be a perfect time to grab some lunch so went into the Devils Diner. I don`t think I have ever seen so many smiling people in there ! 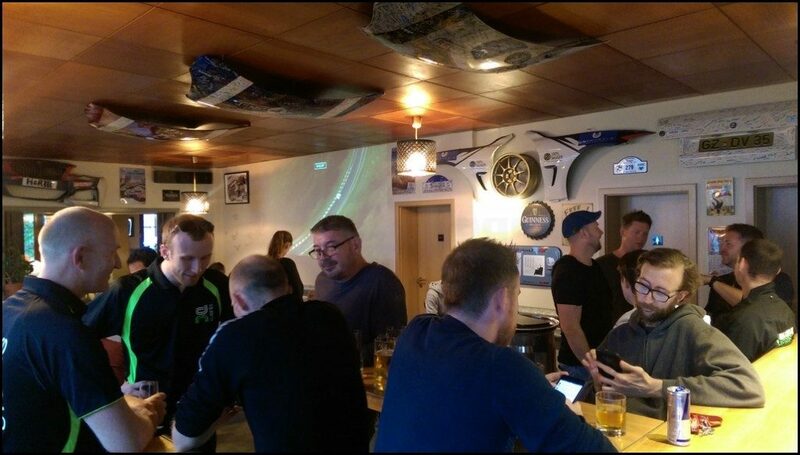 Darren had arranged for everyone who was doing to event to have anything they wanted FREE for the duration of the trackday . I spent quite a while watching the reaction of people grab an icecream, a drink or order some food and they be told "There is nothing to pay, everything is free on this event, Darren will pay for it". 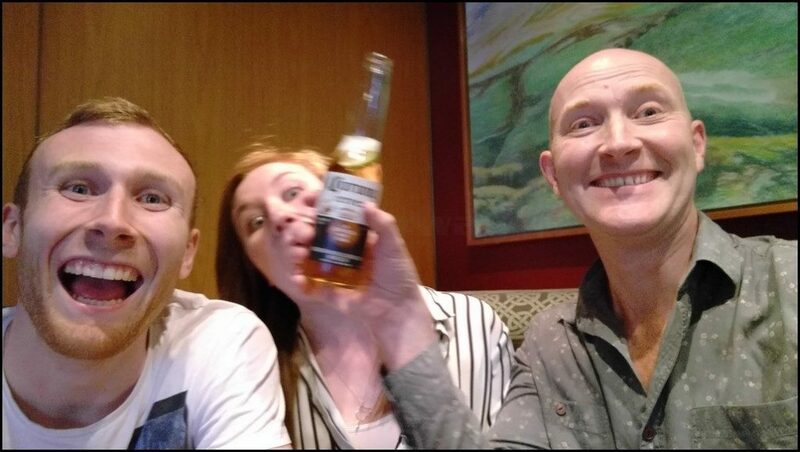 Sometimes it`s the little things that make a difference and even though the bill was significant after 2 days, this went down very well with everyone who attended. I sat down for lunch with Andy, Armands and Robert and had a pretty detailed discussion about suspension, damping and fine tuning lines and braking zones. 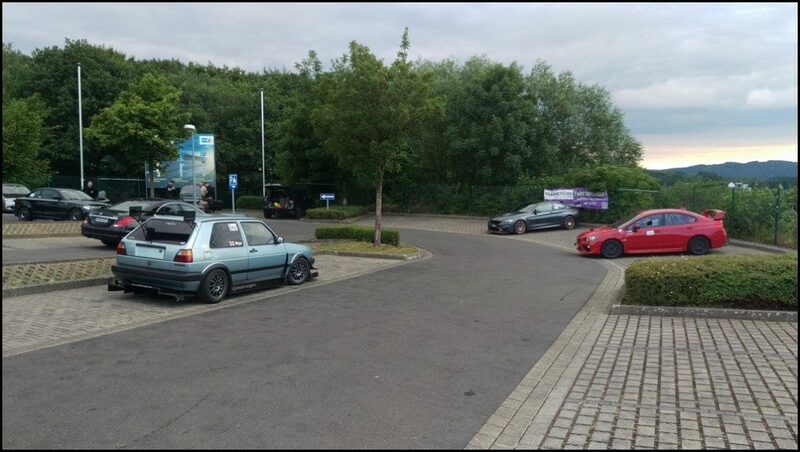 Robert was giving some really detailed feedback and when quizzed about his MX5 he explained it was a stock engine with remap and exhaust, open diff on Kumho V70`s with his suspension setup. So hang on a minute, you did a 7:45 in a fairly stock MX5 with good suspension ? I don`t think I`ve ever met a more self depreciating driver. Whilst he was obviously happy with that time he was just like Andy and I, it was about the improvement and lines rather than the actual time. The laptime was a by product of a mega lap and he was happier with the actual lines and speeds he carried and the time was just a consequence of that. Then the penny dropped, are you the guy who did the 7:58 the other year and hit traffic near the end. "Yeah, that was me". 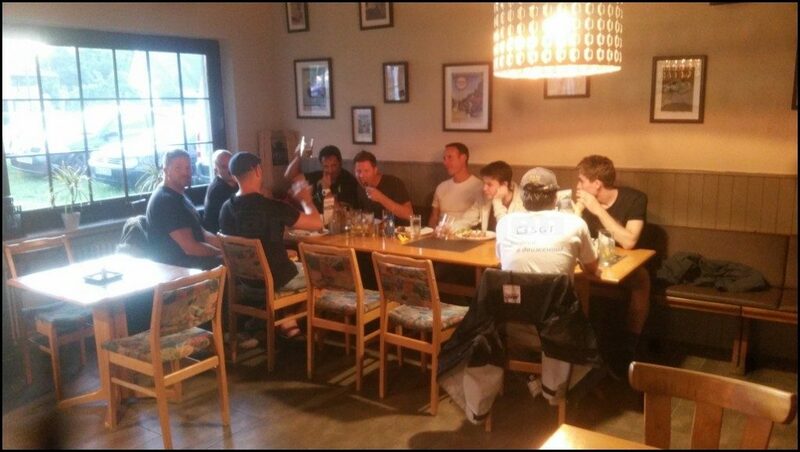 He went to grab a drink and I said to Andy "He is somebody isn`t he ? Not being funny, but doing that laptime in that car is not something you or I could do" Andy just gave me one of his big grins . I asked Robert if he had a passenger seat and was willing to take out passengers as I felt I could learn a lot from sitting in with someone like him. Sometimes you need to sit next to someone who is a level above you and watch them drive to see what a good driver can do and then learn from that. Now I REALLY want to get that lap with him in August. During the break I had a chat to the recovery driver. 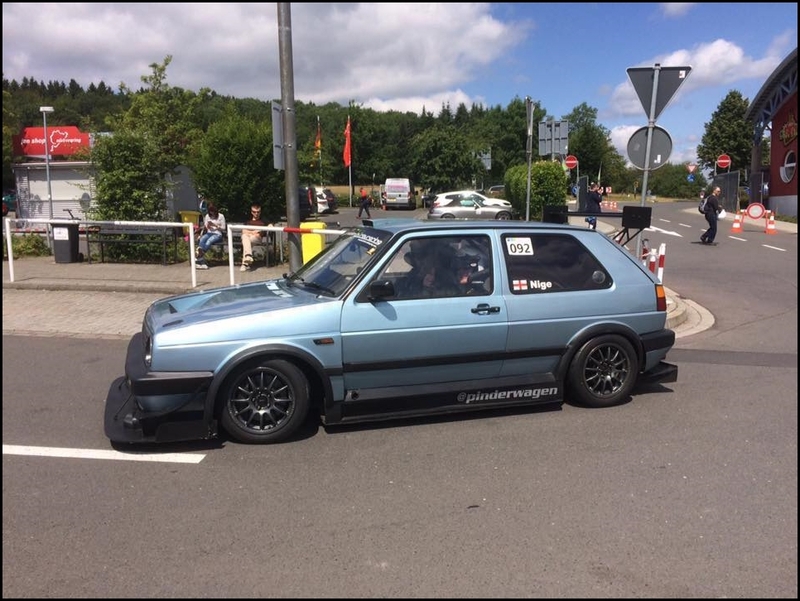 I always seem to get the same driver when I stop on circuit and thought it was about time I spoke to him when I didn`t need a recovery I was asking how many cars have issues on trackdays. I rarely see people saying they had a problem and needed recovery and I was a little surprised when he said that on pretty much every trackday they have to recover between 7 and 9 cars, sometimes more, occasionally less but it is rare there are fewer than 6 recoveries on a trackday. That really surprised me but I guess when you are driving you don`t really count how many times you see it on track and only notice your own problems. Then Darren came over the tannoy "I have a request for everyone on the event, can you all please stop eating and drinking, you are costing me a fortune and get out on track and drive as the circuit is now OPEN"
Rather than take the Golf out I jumped in with Jon-Allan to give him some pointers. I know, I surprised myself too. 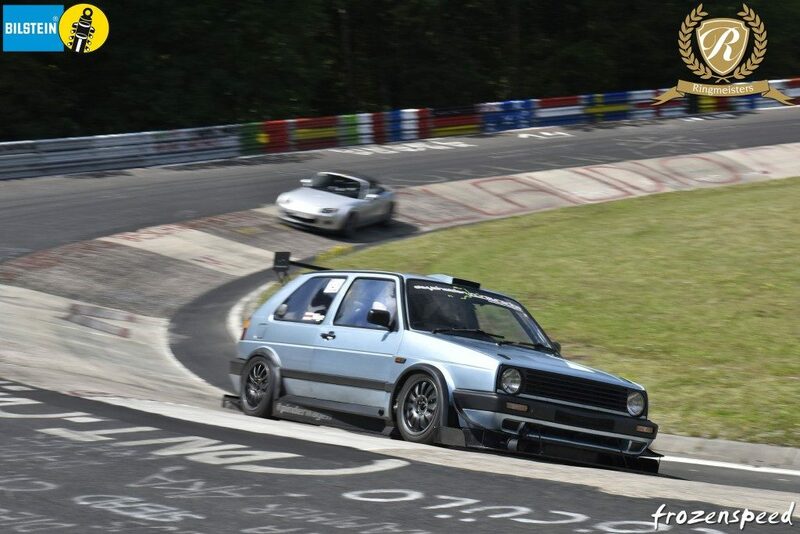 The Ring was open on a perfect trackday, the Golf was working but I had a passenger lap instead of driving, what on earth is going on ! 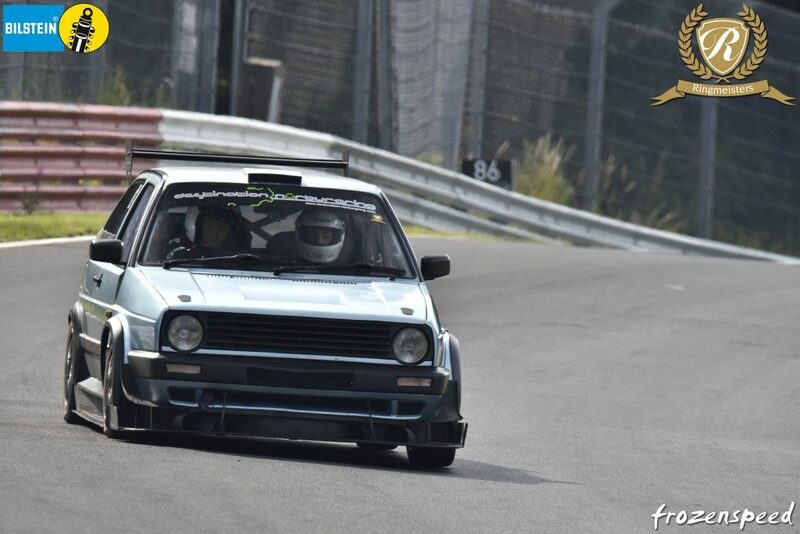 It`s difficult to explain but I just felt that I`d had so many fantastic laps over the last 2 days that I would have a few passenger laps and then finish off in the Golf at the end of the day. I know, it makes no sense and sitting here typing it I can`t understand why I did it either but at the time it was what I wanted. I get a huge amount of pleasure from giving people laps and often get asked to sit in with others but never usually do. I`m a little ashamed to admit I showed my naivety when I sat in with Jon-Allan. We drove the first lap and then he asked if we could go straight onto another as everything was up to temperature. I started pointing out certain lines and as we exited Flugplatz he dabbed the brakes for the left hander before accelerating down the Hill. 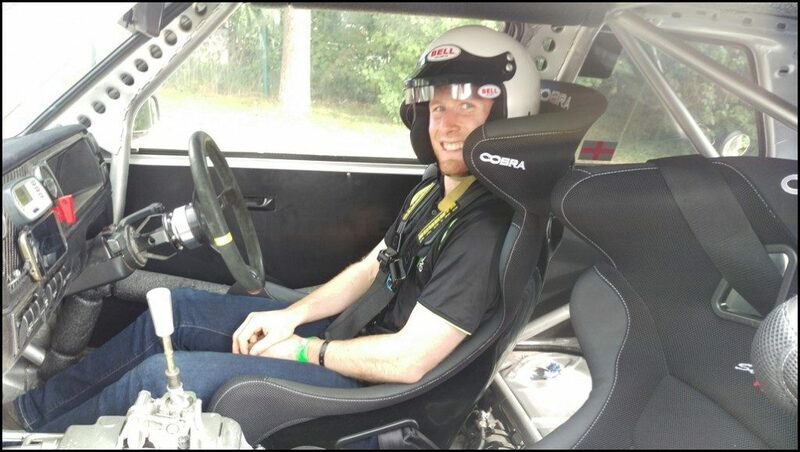 "Jon, you do NOT need to brake there, once you have exited the double right hander and the car is settled you can keep on the throttle". He asked if I was sure and I explained I was certain of it, obviously only in the dry. The rest of the lap went well and I made an effort not to overload him with too much information. It is easy to overwhelm people by trying to tell them too much and that`s where a good instructor really makes a difference. 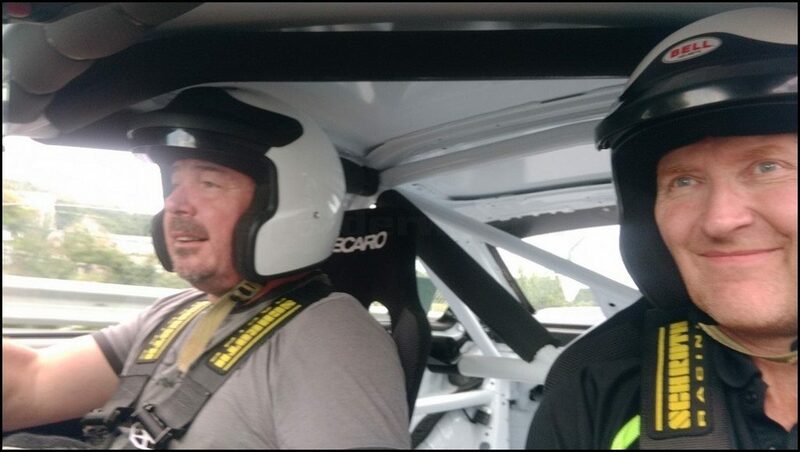 I`m not an instructor and was offering tips but I know I still need to improve on how to understand the drivers skill and what to tell him as we are lapping. 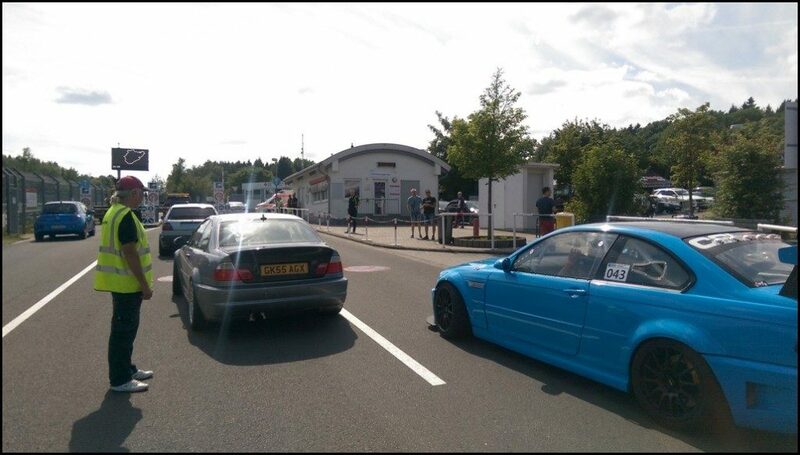 After 2 laps he was very low on Fuel and as I`d bought some just before the closure I knew I wouldn`t be able to use it all myself so put 40 litres in his E46. When I asked why, he explained. "You told me I didn`t need to brake after Flugplatz so I trusted you and I didn`t. It was no drama and you were right. The issue was when I went over the crest before Schwedencreuz I braked as usual and turned in. The problem was that I was doing between 10 and 20 mph more than I`ve ever done before as I hadn`t braked at the top of the hill. I carried far more speed into the braking zone and didn`t brake any harder than usual. ! I still managed to drive around the corner, but my line was terrible as a result of the extra braking I had to do"
This is where my inexperience as an passenger offering advice shows itself and where an instructor will understand the possible consequences of exiting a section much faster, I just assumed he would realise he was approaching the braking zone quicker then ever and brake more. 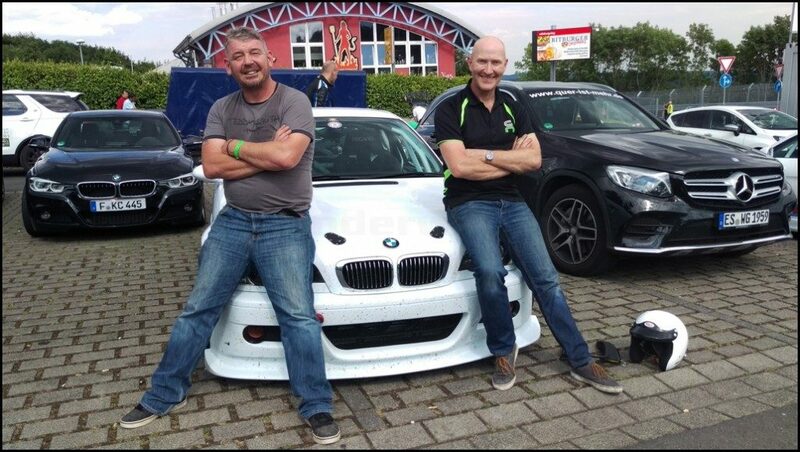 That would be a good one to share wouldn`t it if as a result of me trying to help I actually caused an Olympic Gold medalist to crash his M3 on the nurburgring because he arrived at a corner too quickly. Back on the wet May event there were only a few cars besides me who were lapping all day. One of them was this Caterham and he was out again on this trip. A gearbox issue on Thursday meant his running was cut short but they fixed it and he was out on Friday again. Cat asked if she could have a lap and he was happy to oblige. She came back in buzzing and I could understand why. He was lapping at a similar pace to me but imagine that in a Caterham ! I know they have a roll cage but you feel the speed far more than in a car like mine. Russ was going to go for a chase lap with Sam and Matt jumped in the passenger seat. I jumped in the Shirmernater2 with Sam. I`ve heard all about these cars and needed to see for myself what all the fuss was about. I mean, it is just an E46 M3 isn`t it ? Well actually, no, it most certainly is not. Lets skip the cost of a Schirmer built car for a minute. This shell was the last E46 coupe off the production line. Tom built it from the ground up last year with all his little extra suspension and geometry tweaks along with engine and drivetrain modifications. Matt has tried to explain it to me before but said I needed to experience it myself. Russ definitely has the edge in a straight line, he has over 400HP and a lighter car but they are very close to each other in the corners. The FWD and RWD lines and power application are certainly very different through certain corners. The day ended before we finished the lap which was annoying, the plan was for us to come back in and I`d drive the Golf for the last lap but the track closed earlier than expected. This is nothing Darren has any control over and it is down to the Ring management. At the end of each event there has to be a track inspection and discussion with Darren about the armco damage. The more incidents there have been, the earlier it closes as the inspection takes longer. 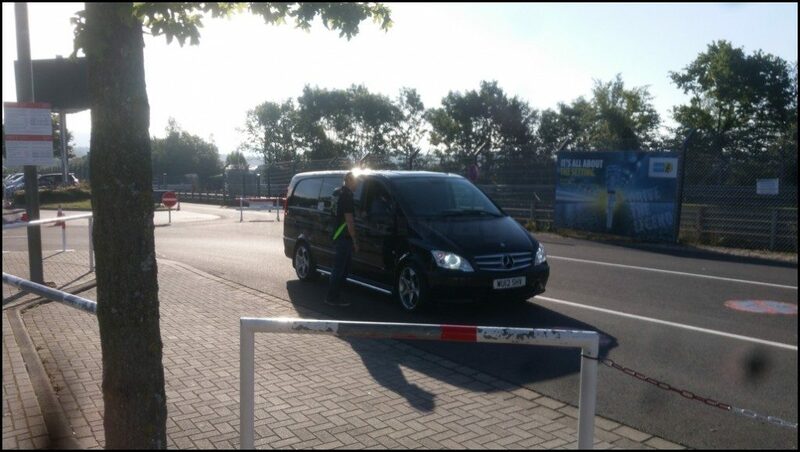 The Flugplatz incident needed a detailed inspection and that`s why it needed to be closed early. 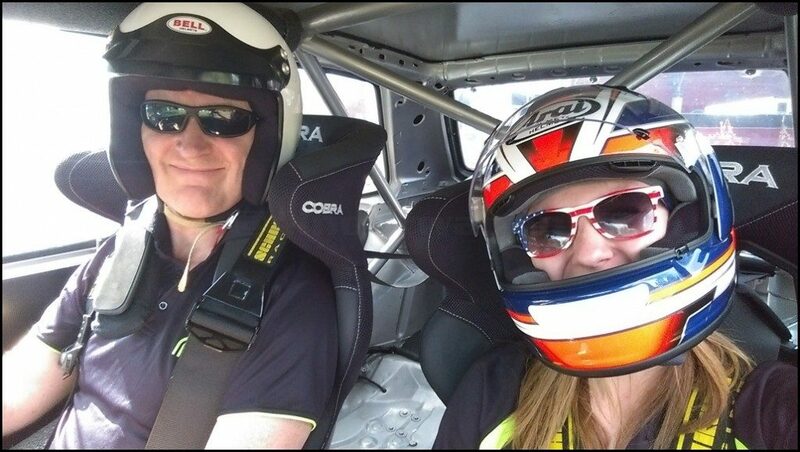 Whilst I didn`t get to drive the last lap it didn't actually detract from the day. I decided to take some passenger laps because I had driven enough laps to come away satisfied. Just because I wasn`t able to drive 1 more lap didn`t change that. 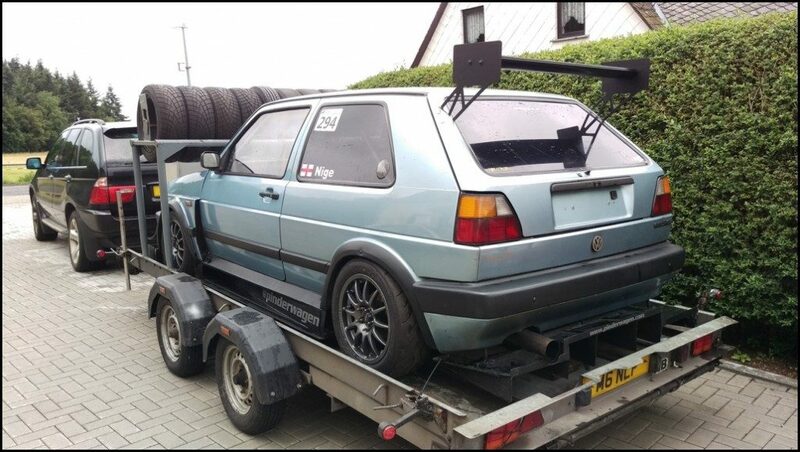 Then it was time to load the Golf onto the trailer after another successful 2 days. 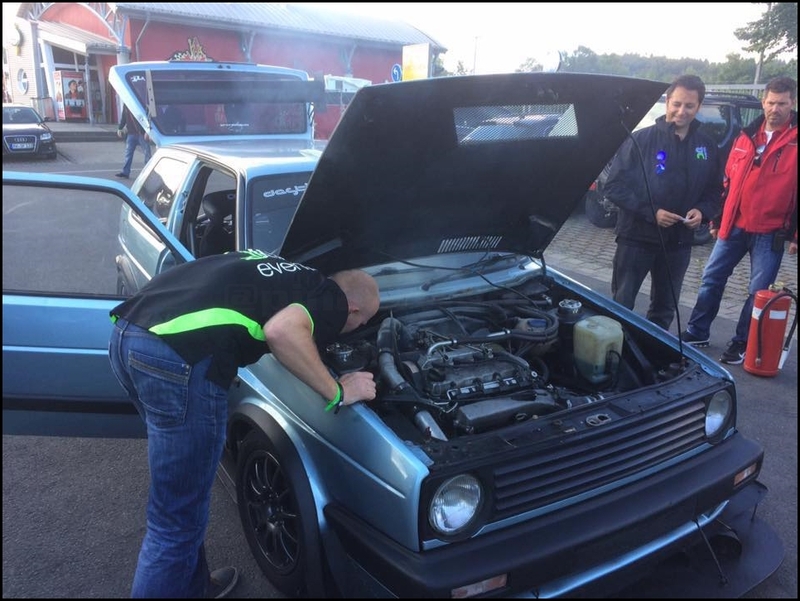 We then had the usual problems with drivers forgetting to return their transponders even though we remind them several times throughout the event, it is always the same. It seems particularly common with Rentals and RSR brought a load back. 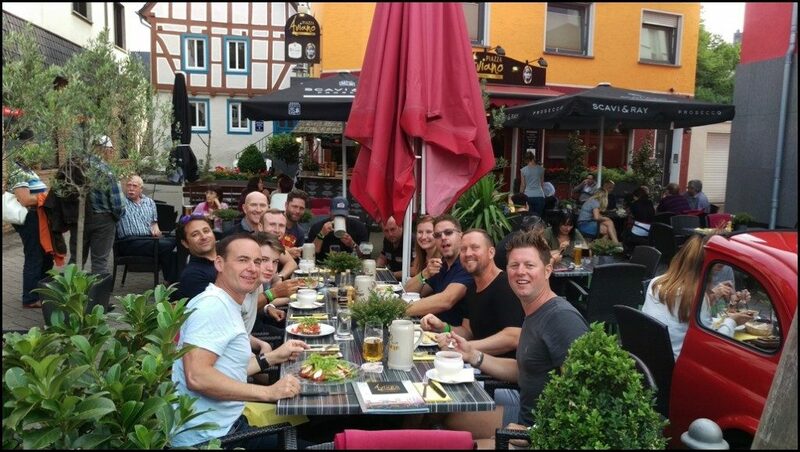 After a shower we all made our way down to Adenau for the obligatory top notch meal and drink at the Comfy Corner. 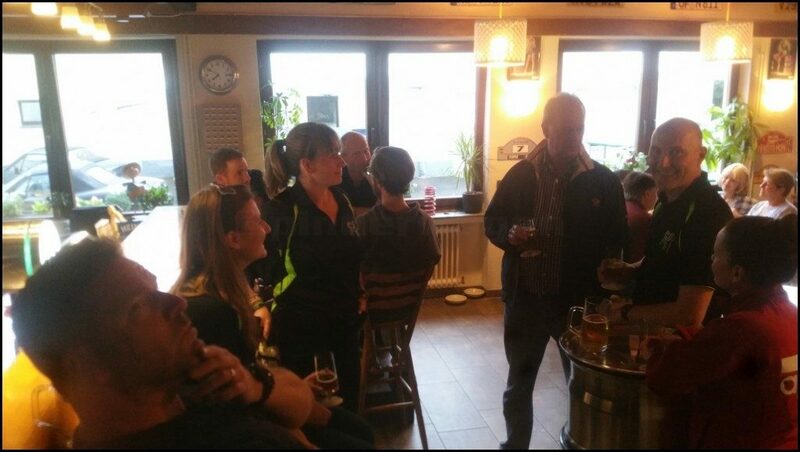 What a superb evening it was, we didn`t leave until 01:30 on Saturday morning ! 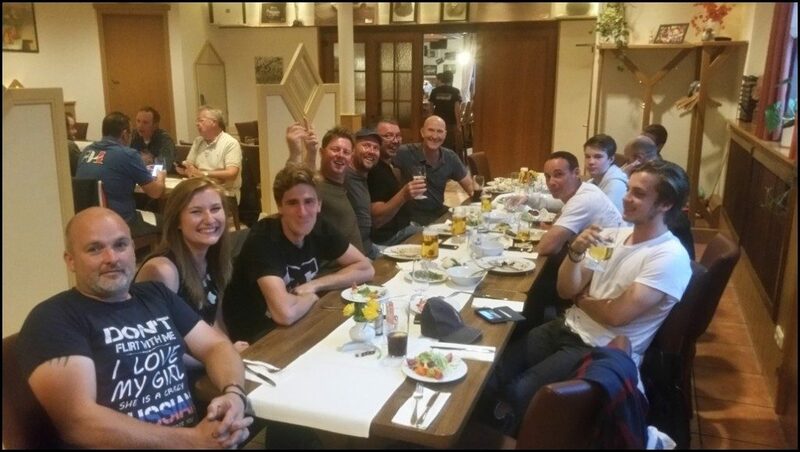 Even though Darren, Jim and several others were supposed to be up early for their walk from The Nurburgring to Spa the next morning, they didn`t get an early night either. 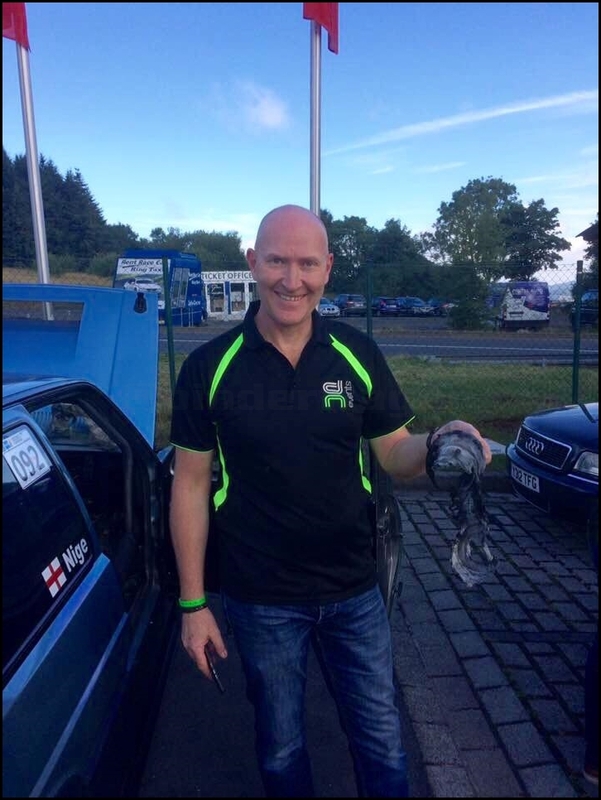 They were raising money for Air Ambulance Northern Ireland and Mission Motorsport and so far have exceeded their £1000 target and have raised almost £4,000 from the generous donations of people on the fundraising page &gt;&gt; here &lt;&lt;. We had an uneventful drive across to Rotterdam on Saturday for the return crossing where we had a really good talk with Nigel who had been there in his 911. 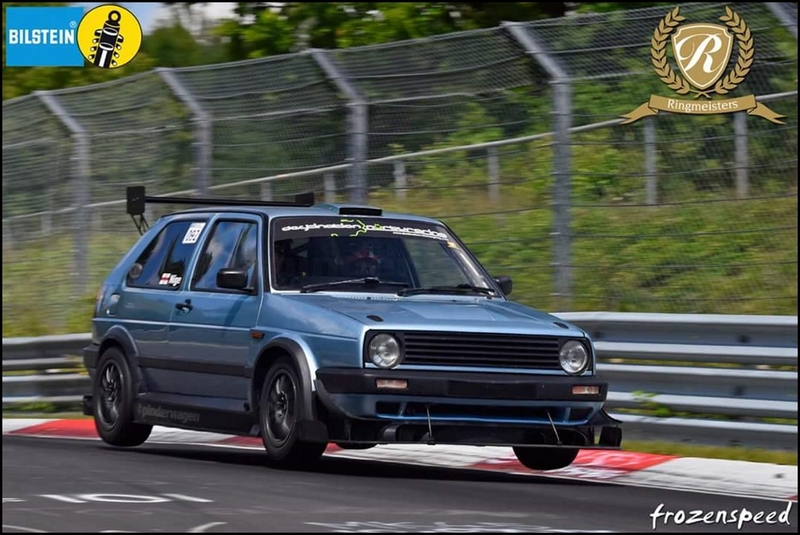 He`s been on several previous Destination Nurburgring events as well as a Grand Tourismo trackday earlier in the year. He was explaining that even their events have another 20 cars on the day compared to the Ringmeister Prime one ! 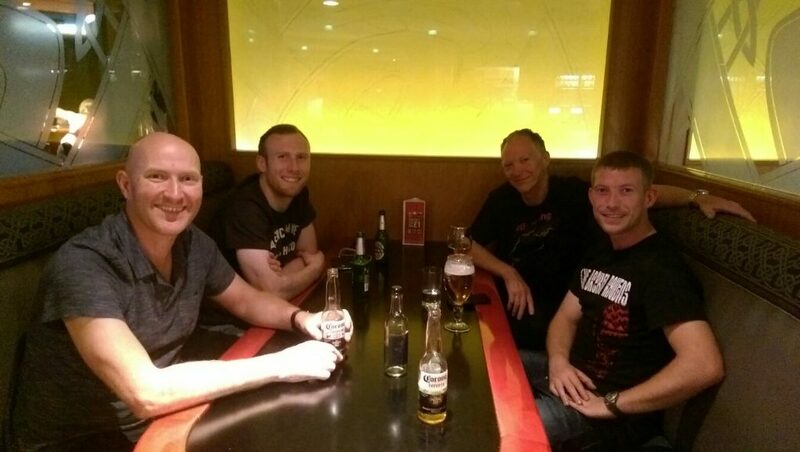 After we`d eaten we met up with Paul and Doug in the bar. 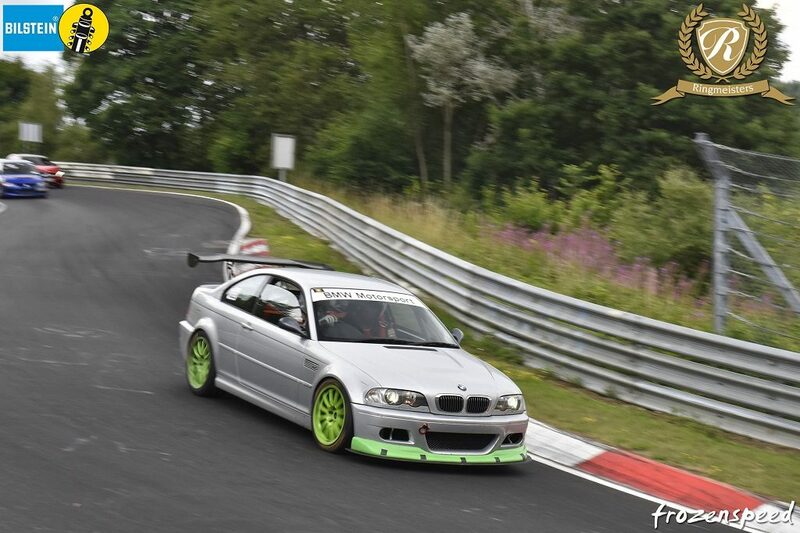 I had a really long talk with Paul about his E46 and told him about the comment I`d made on the chase video that if he held me up I would just pass him He understood what I meant and wasn`t funny about it although he was rather surprised when I cruised up to the back of him going up Kesselchen. I told him to wait until he watched the video and saw that after my shocking Bergwerk exit it took a while to close up but once I did how little throttle I needed to follow. 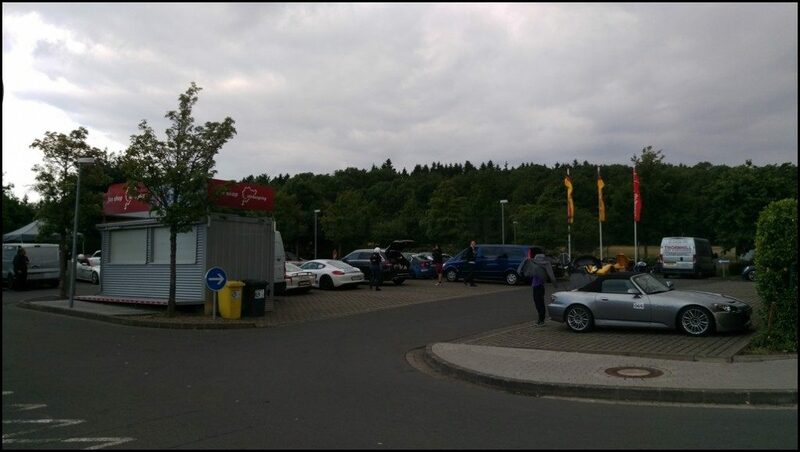 This was my first Ringmeister Prime event and when I was driving across I was telling Darren I wasn`t sure if it could be that much better than the normal Destination Nurburgring trackday. I always thought they were quiet enough but it would seem I was mistaken. 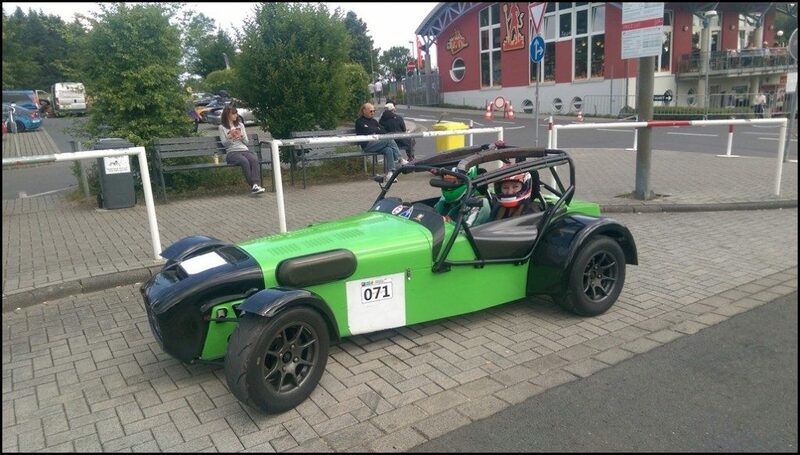 Even when we stayed at the Ring for 6 weeks and I lapped on a midweek evening, I don`t recall having so many clear laps. It wasn`t just me either. 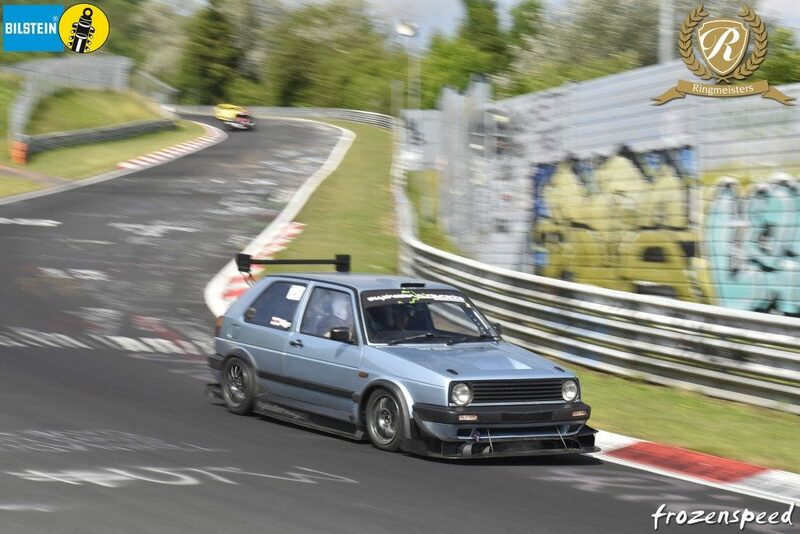 Freddy who owns a Schirmer 1 series has done trackdays with pretty much all the high end companies was talking to Sam at the end of the second day and said "That has been the best 2 trackdays I`ve ever done on the Nurburgring, it was so quiet on track ! " There are times when I don`t actually want quiet laps which sounds such a strange thing to say but sometimes I want to be in some traffic and have to drive accordingly and that makes it more exciting. If I just wanted to set a laptime then sure, an empty track is perfect but that has never been the point of these trackdays for me. What this event did give was the opportunity to go out alone if you wanted to or go out with mates in convoy and not really have to worry about other cars on track as it was so rare you actually met anyone out there. I think that`s partly why I was happy to stop driving for a while and take some passenger laps myself as nearly every passenger lap I`d given had been almost clear with me coming across perhaps 2 or 3 cars per lap, that meant I was able to give passengers a great experience and their excitement afterwards told me I succeeded every single time. Would I do another Ringmeister event ? Yes, absolutely. I was buzzing at the end of it and even reading this back I keep thinking about laps I haven`t talked about at all. When I sit down and have to make an effort NOT to talk about laps I did, I know it was a truly memorable trackday. 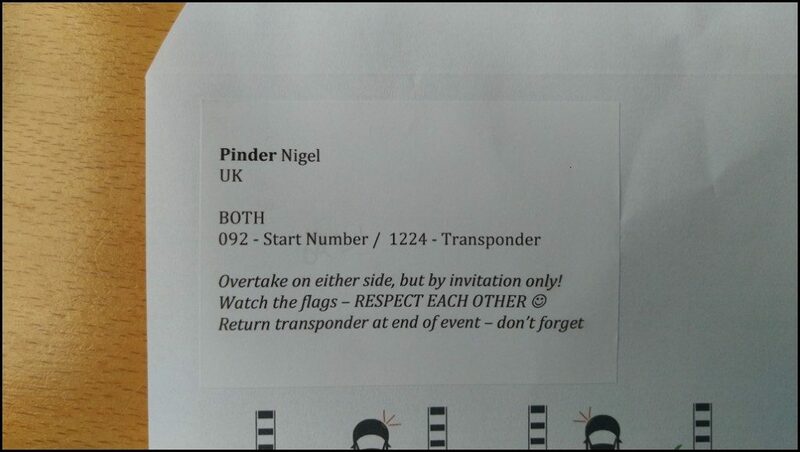 I've still to get my passenger lap in the Pinderwagen! I had a few people say they felt it was too empty for them at times. How did you find the overtake either side ? Personally I thought it worked well, not sure it would on a busy day but it was fine on the RM event. I was determined to get my money's worth! I can't understand the mentality of people who are paying circa £100/hr to get on track standing about in the carpark gassing for much of the day. Now that's what you call a write up! I guess a lot of the criticism or concern about overtaking on both sides is considerable assuaged by the far lower volumes of traffic. Glad it worked out okay anyway! Why would you pay £1900 for two days and drive around in a Swift? OTOH, it gets very expensive very fast when you rent the faster stuff over 2 days so if it's a case of doing it in a Swift or not at all, I can see the logic. Whilst the Swifts are very underrated cars by those who have never driven one, I can completely see your point. If it was a 2 day DN event then it makes sense but for a RM one I`m not so sure either. I know the drivers had some great laps but as it was SO empty and more expensive as a result, I`d want something with a bit more poke too. If someone were not especially price sensitive but had no experience of the circuit and could (perhaps for personal or work reasons) only make those dates then it still makes perfect sense to me. The best way to learn the circuit is in a low powered but grippy car on a circuit with very few other cars on it (so not forever jumping out of the way of other traffic). When you don't know where you are going, driving something that handles but doesn't reduce the straighter parts into the blink of an eye is actually pretty sensible. This also correlates with them often being a little bit of a hazard to the experienced drivers as a lot of the time rental Swift drivers are new to the place. 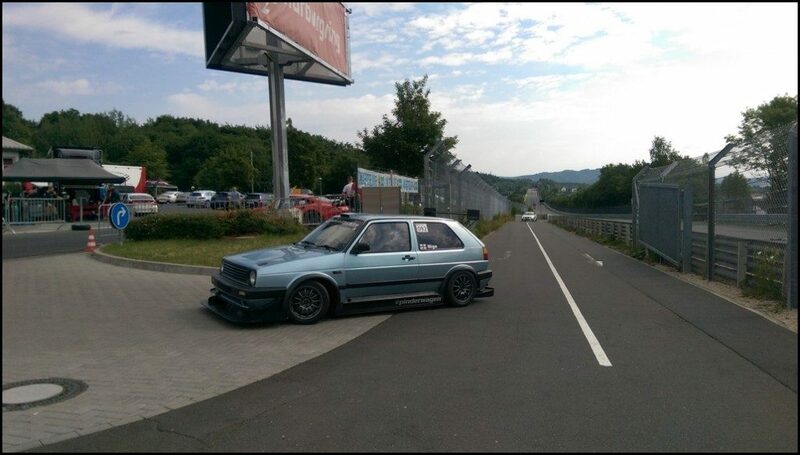 Also bear in mind that the old way of learning the 'ring (where people used to get a cheap car and go there for a week of TF) isn't really on the table these days due to the lack of mid week TF days. Plus of course on the economics standpoint - TF laps have somewhat spiralled in cost of late (€30/lap or €1900 for a JK - break even at 64 weekend laps or up to 76 if you are doing the €25 evening slots). 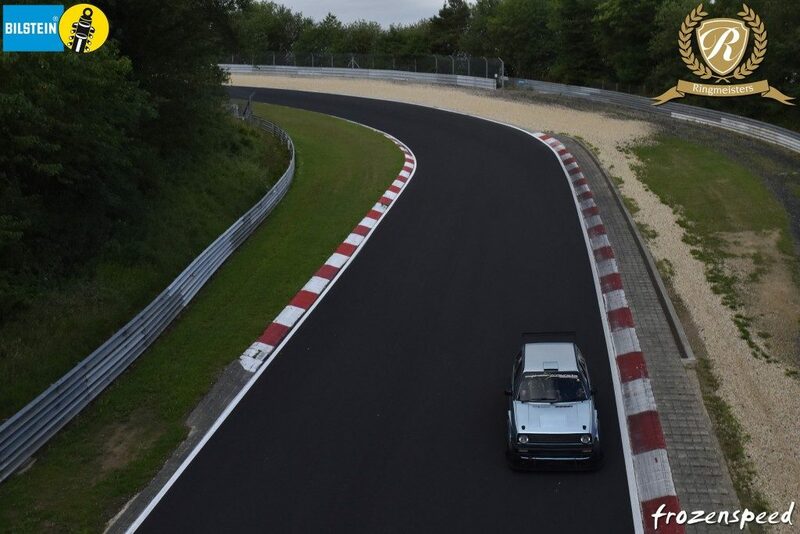 However you do it, driving the 'ring has got a lot more expensive since we all started. and finally: if it had tipped it down then they are a riot to drive compared to tip toeing around on Cups with over 400hp under your foot that you mostly can't use. I assume swift driver didn't work for local car rental company then? Thanks again for that Nick - it had been a while since I was in a 996, loved it! My pleasure mate. 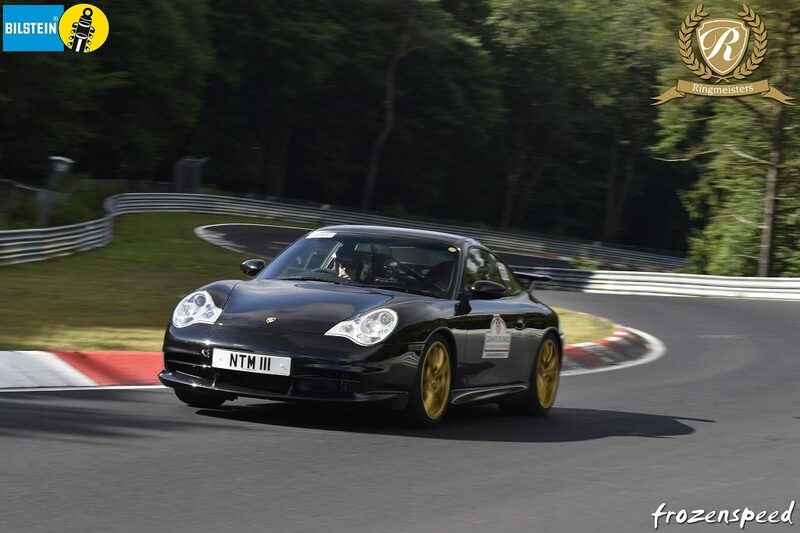 You just need a proper lap in the GT2 now (hopefully without the 360 spin we had last time! ).